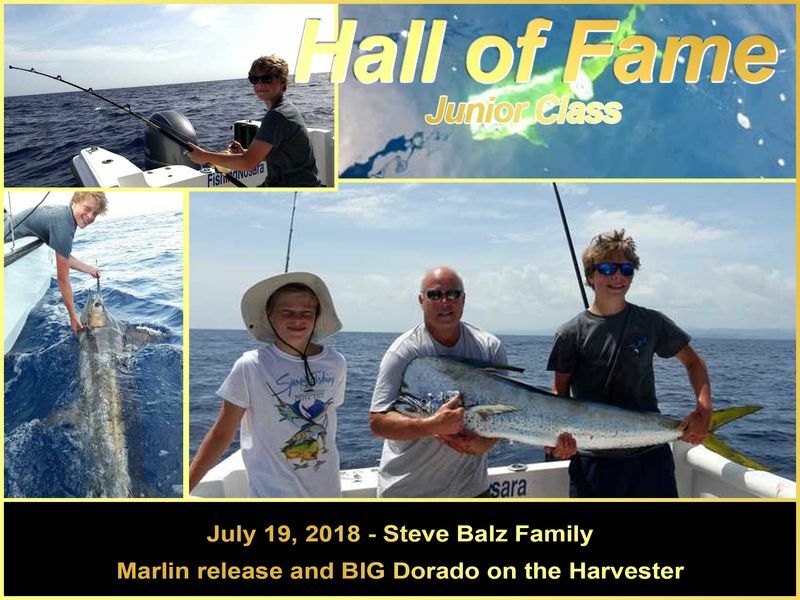 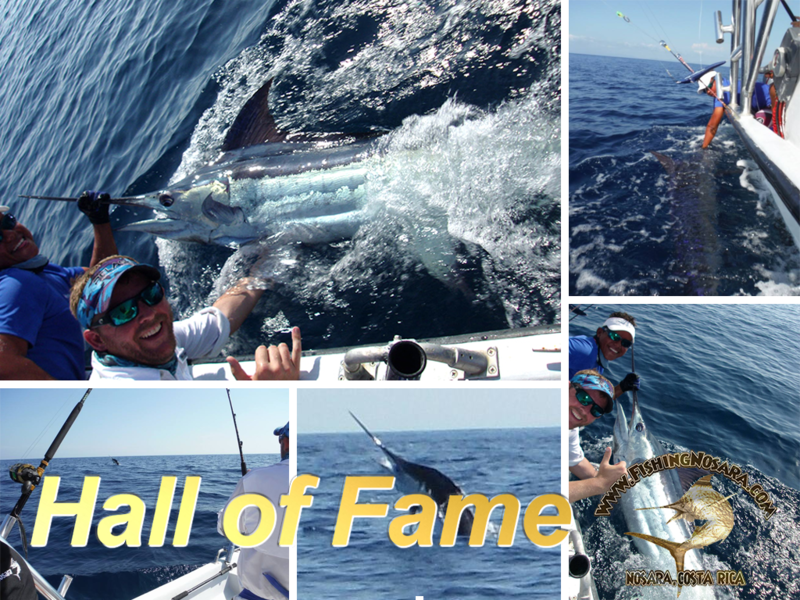 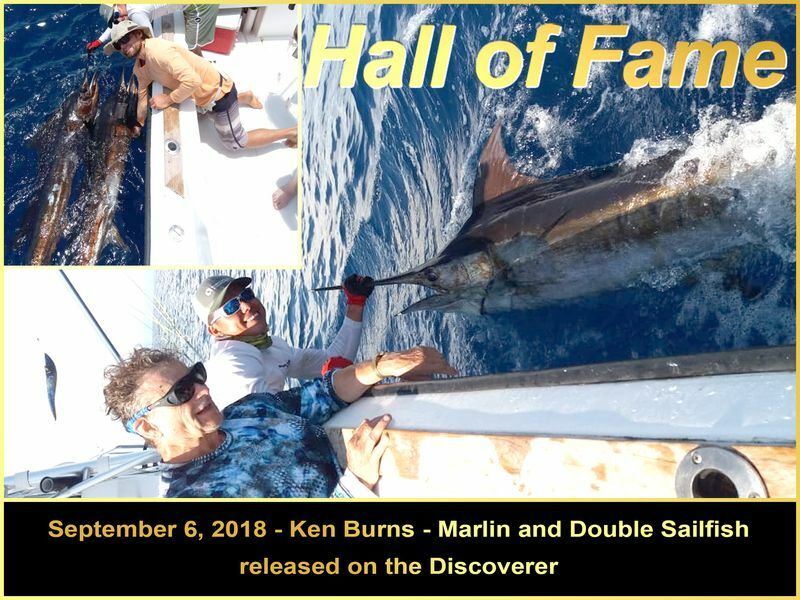 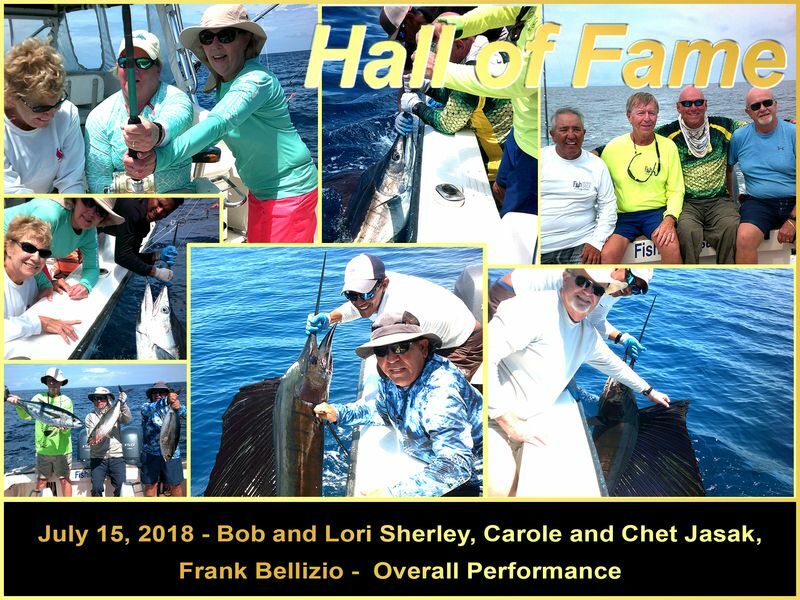 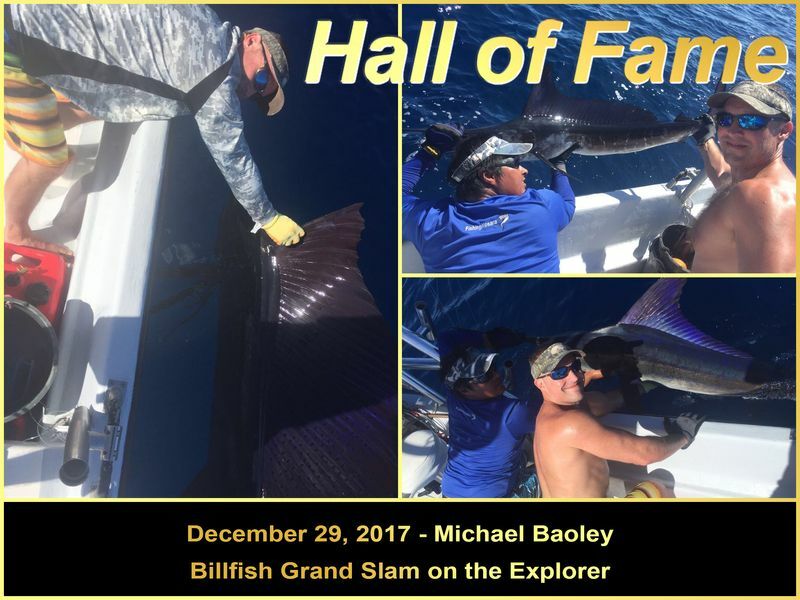 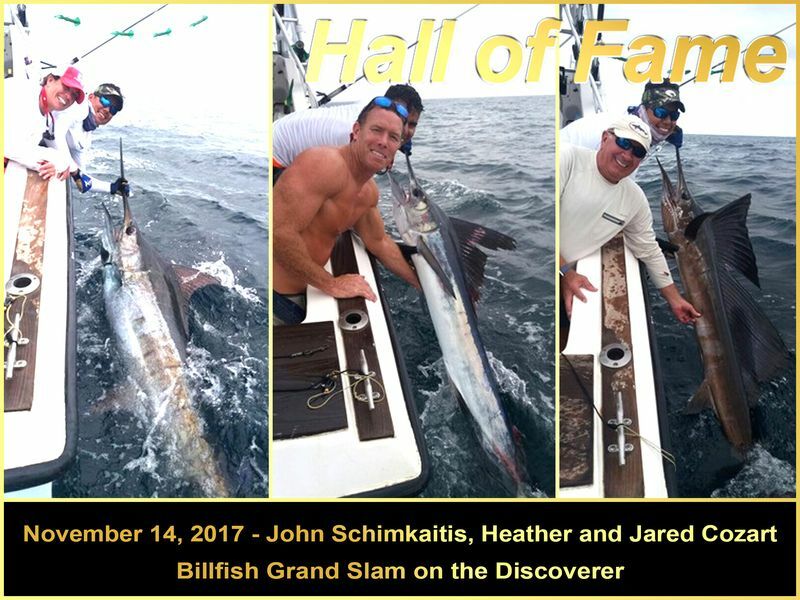 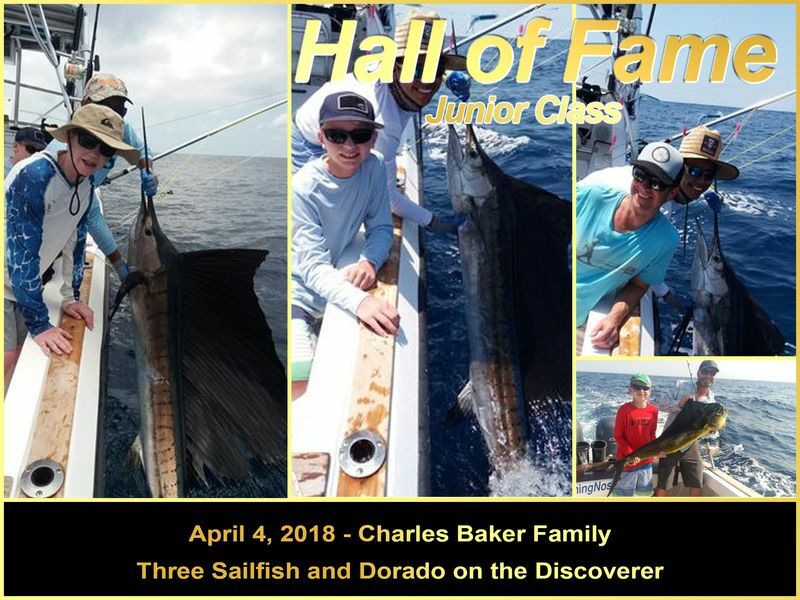 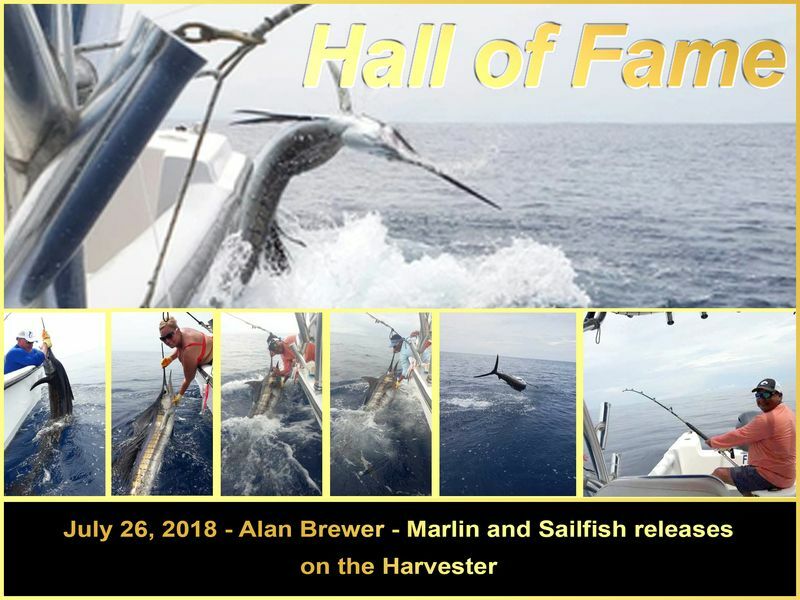 How would John Harbord, Jon Ronloff, and Bruce Sabine fare after a seven billfish day yesterday? 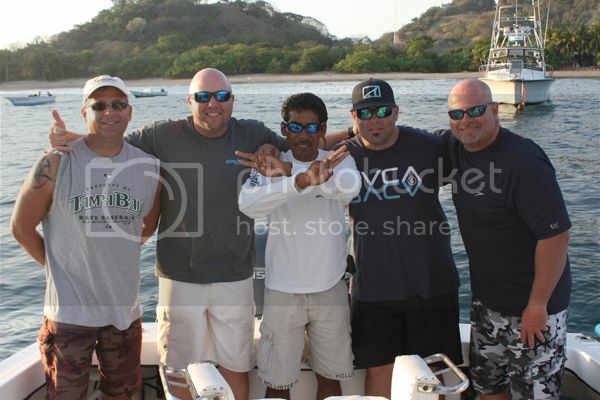 Would they have anything left in the tank after three excellent days of fishing both offshore and the inshore reefs? 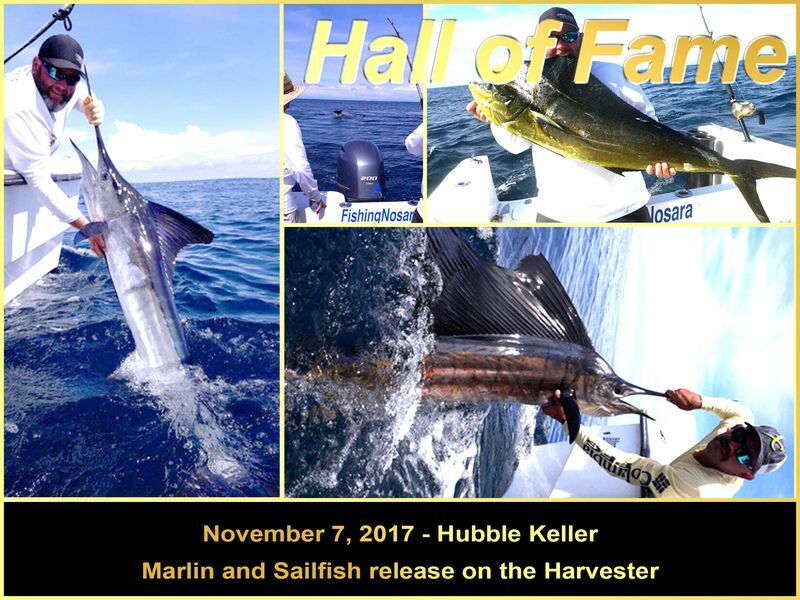 Would the billfish finally evade their crafty capture? 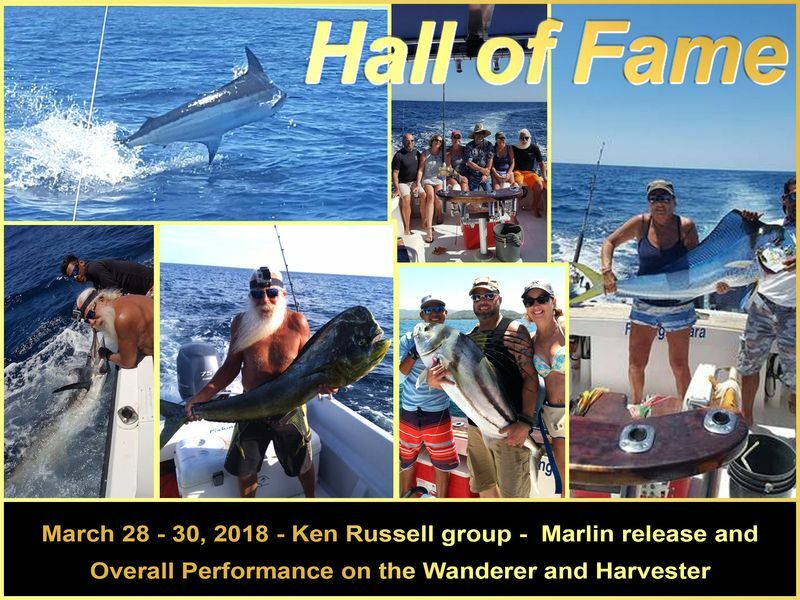 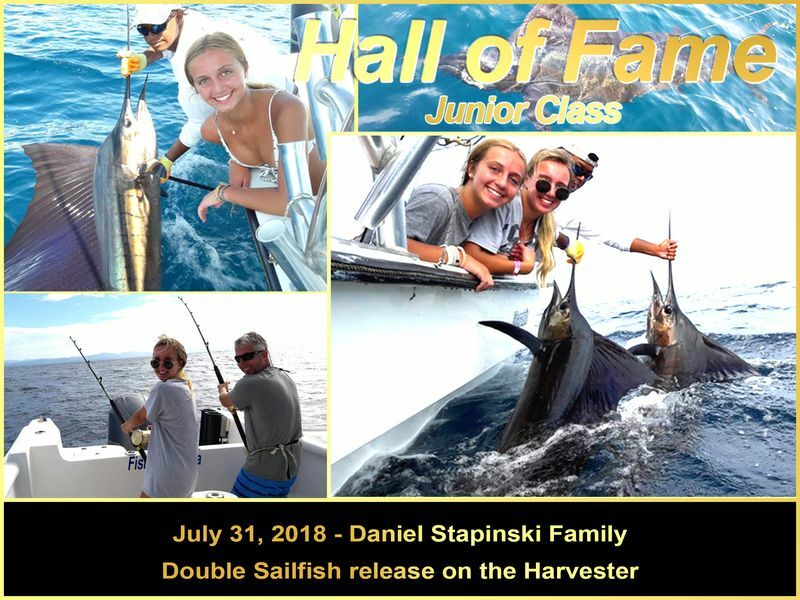 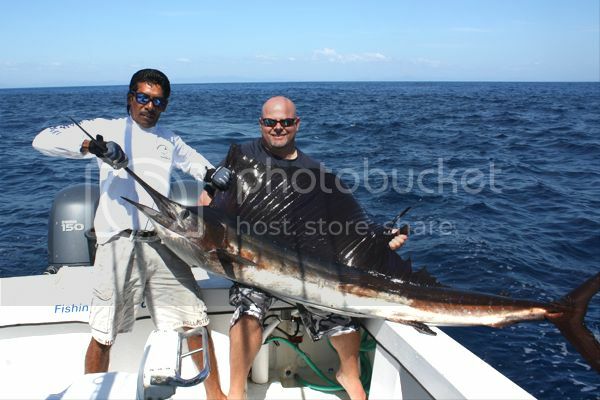 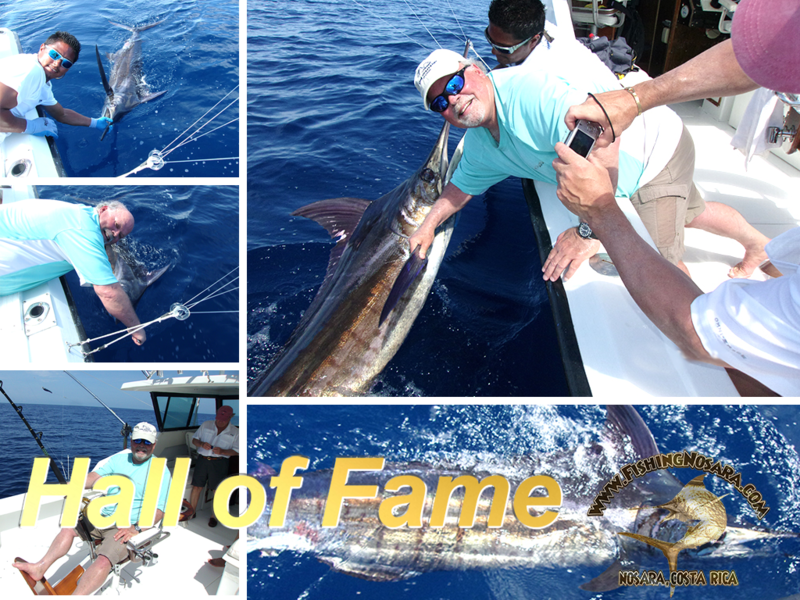 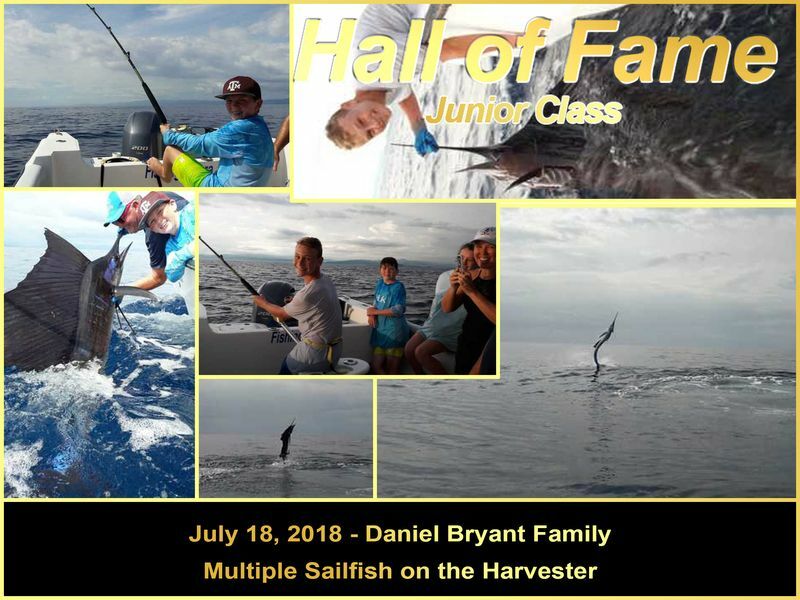 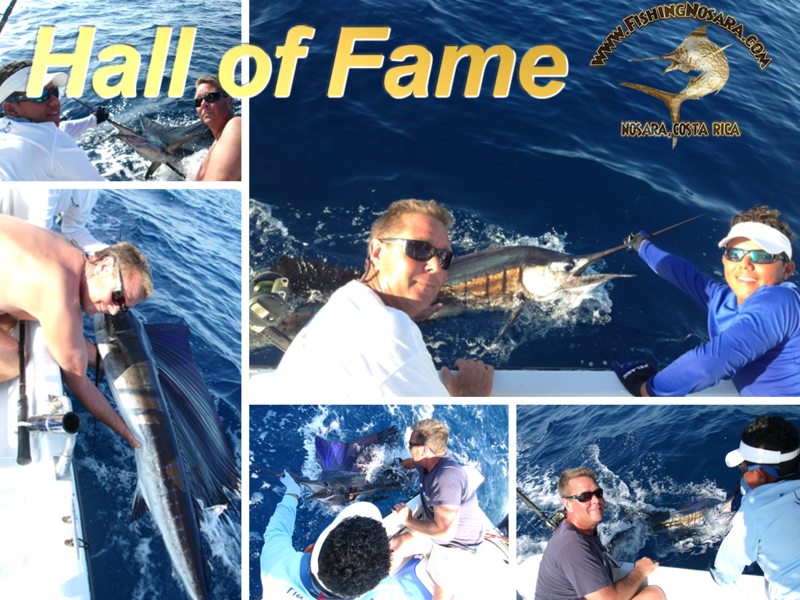 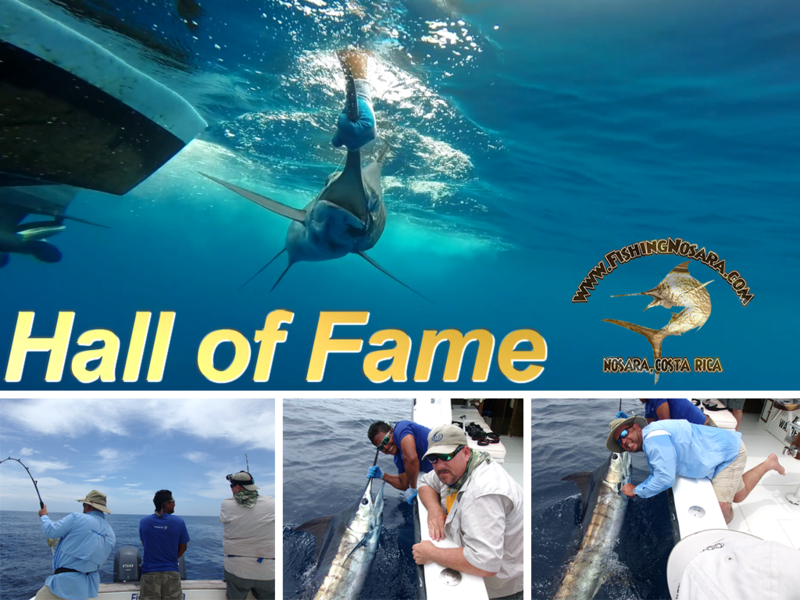 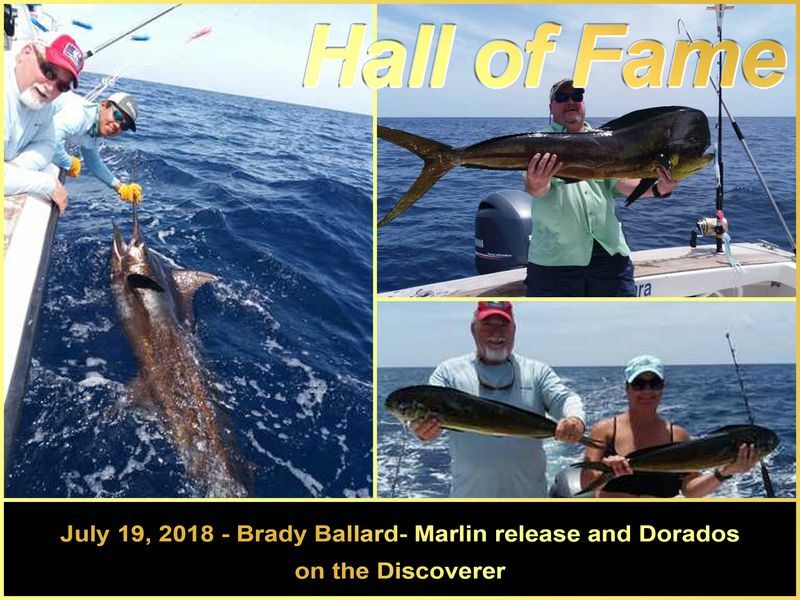 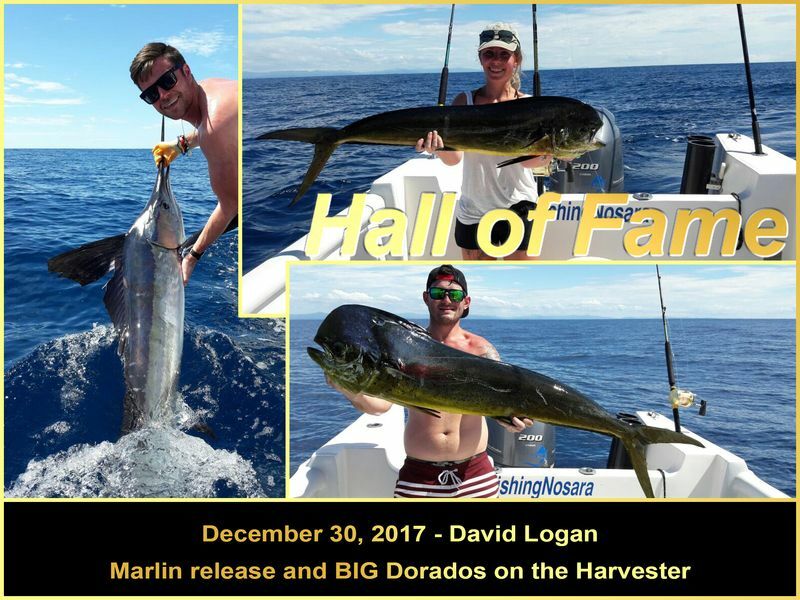 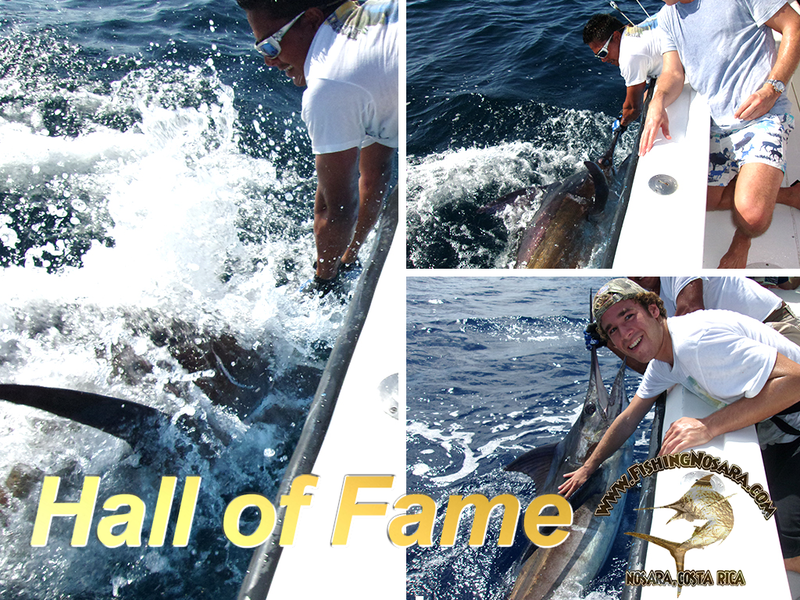 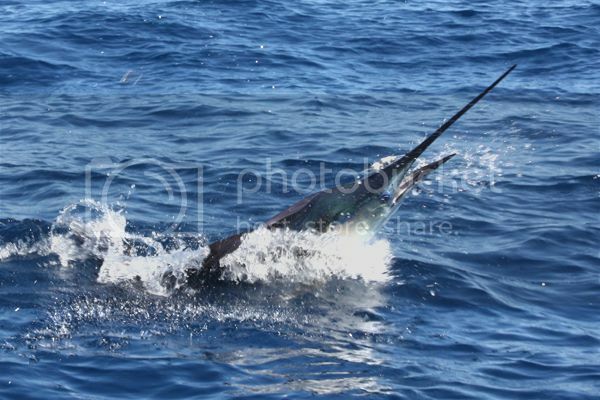 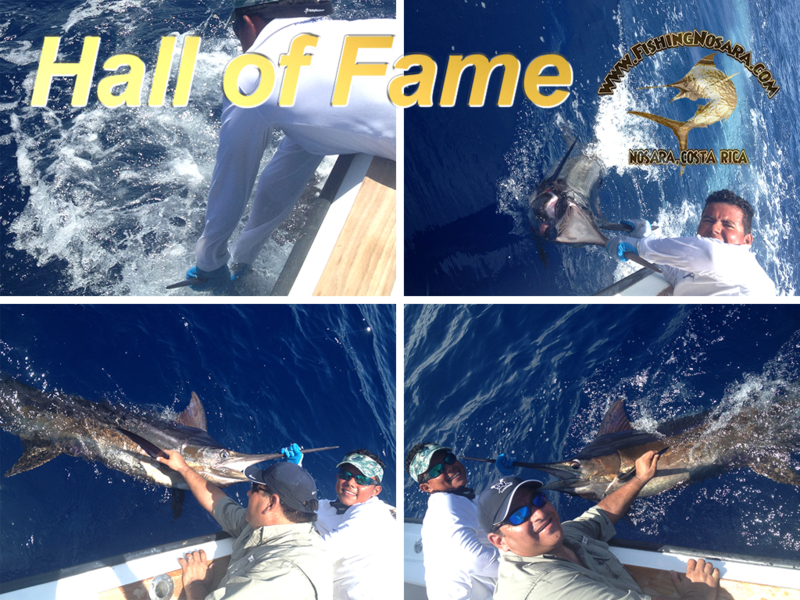 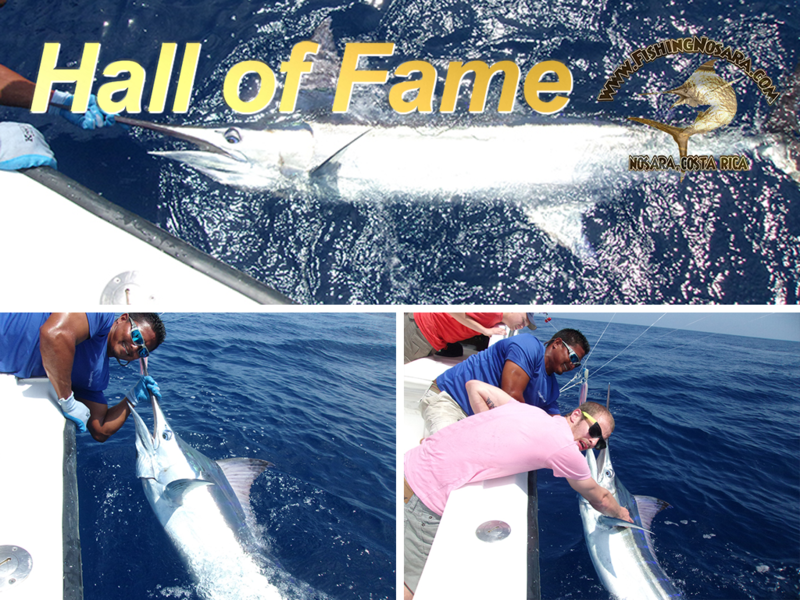 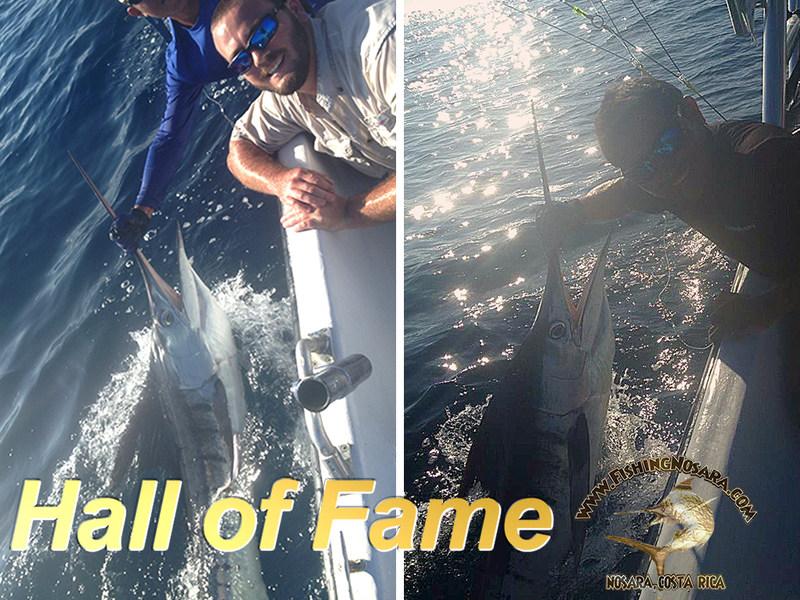 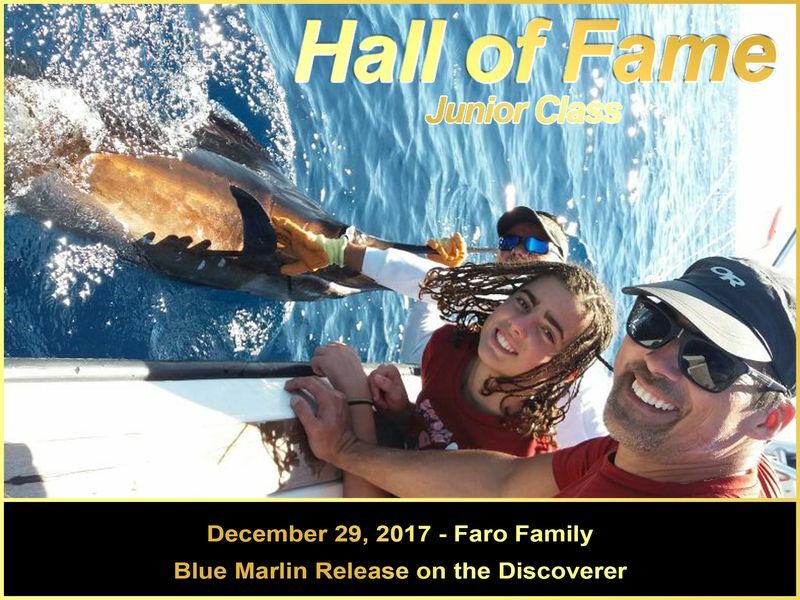 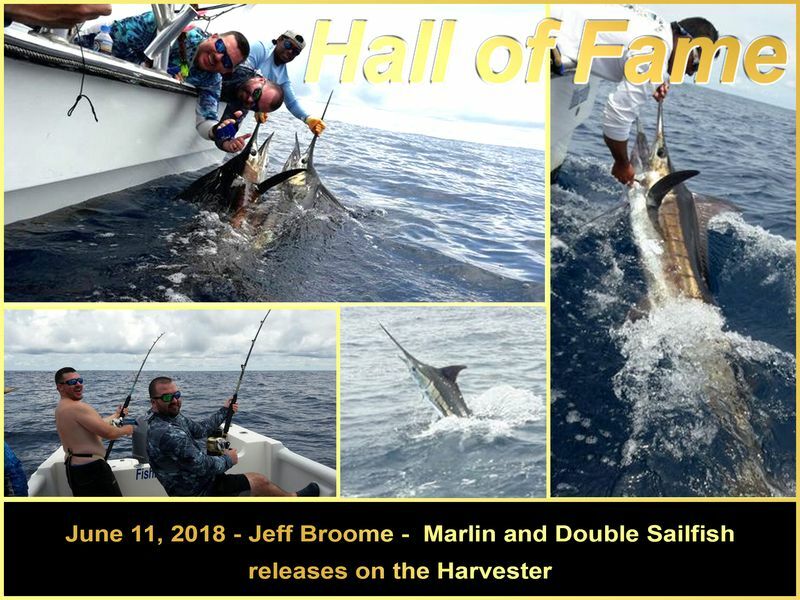 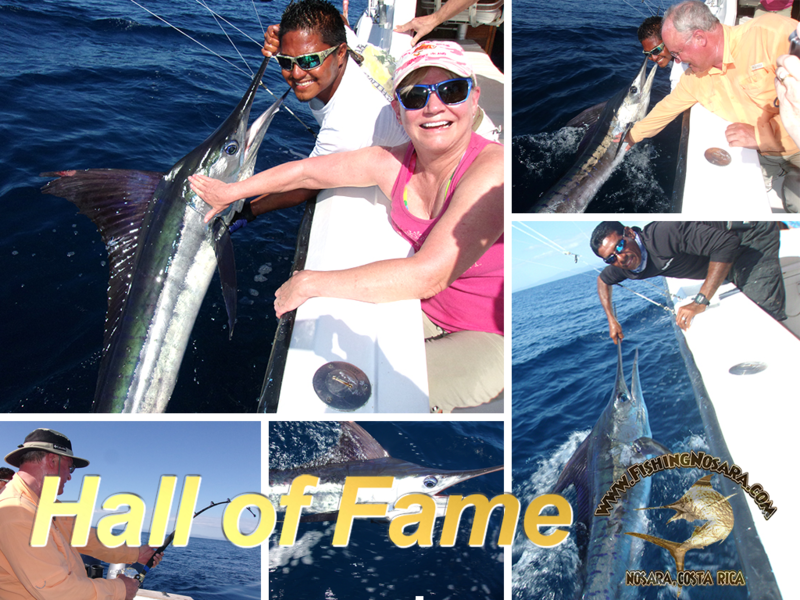 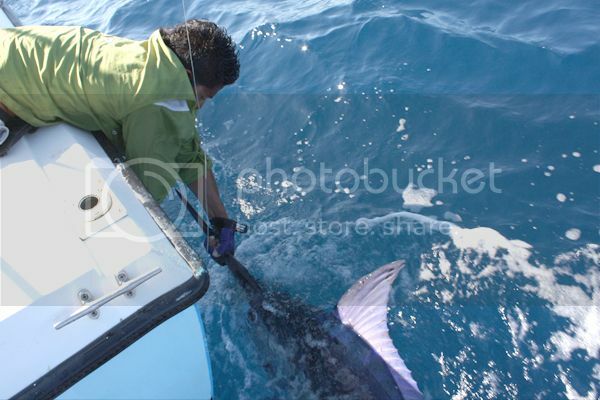 Striped Marlin, Black Marlin, and Sailfish released! 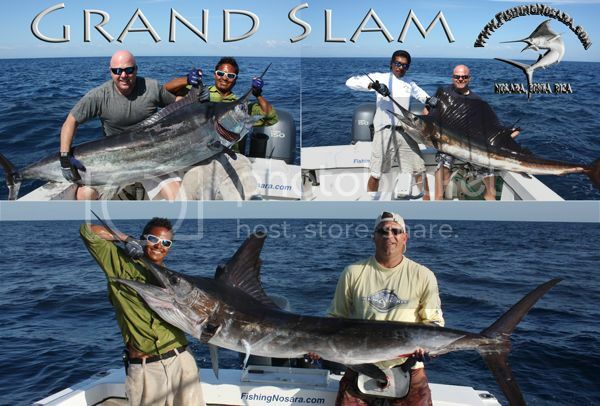 This is the classic Grand Slam and is by far the rarest feat in billfishing. 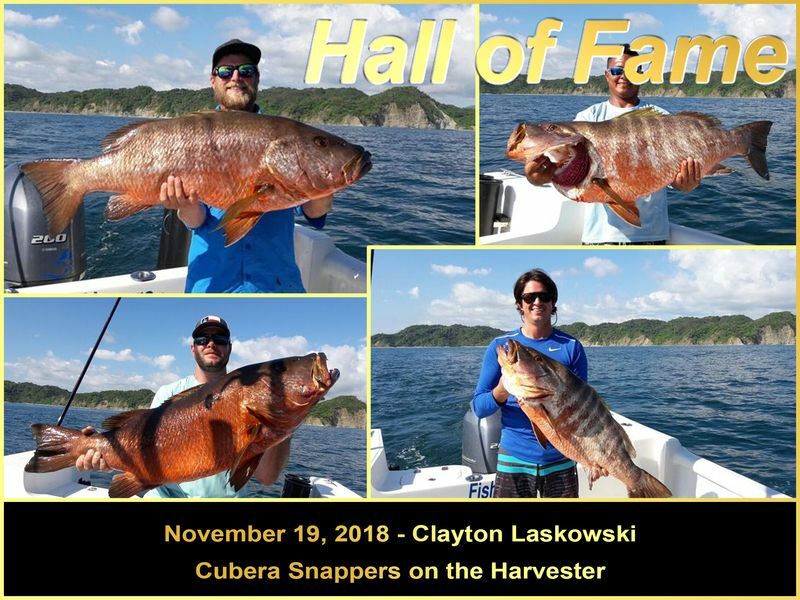 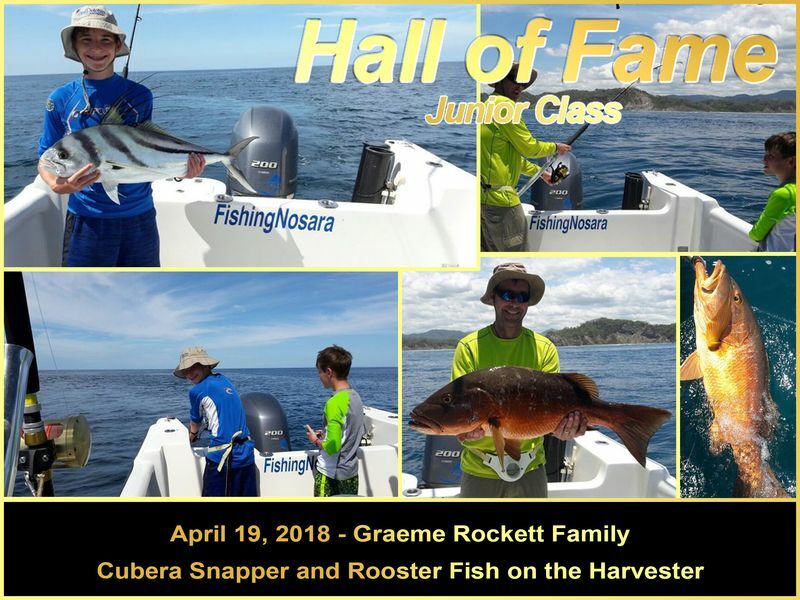 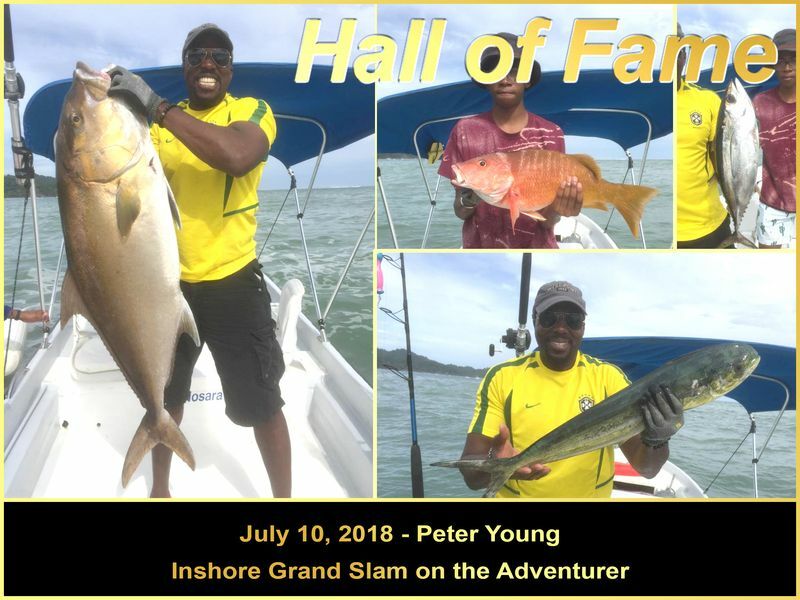 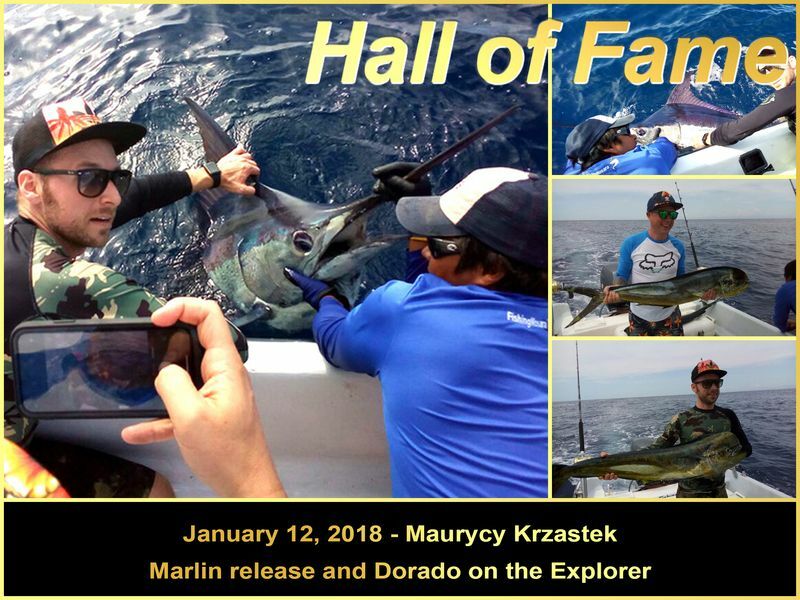 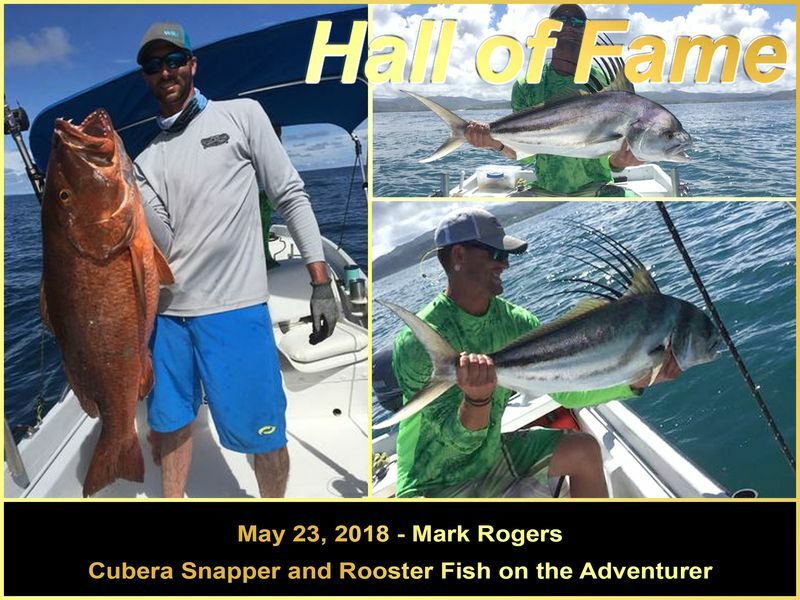 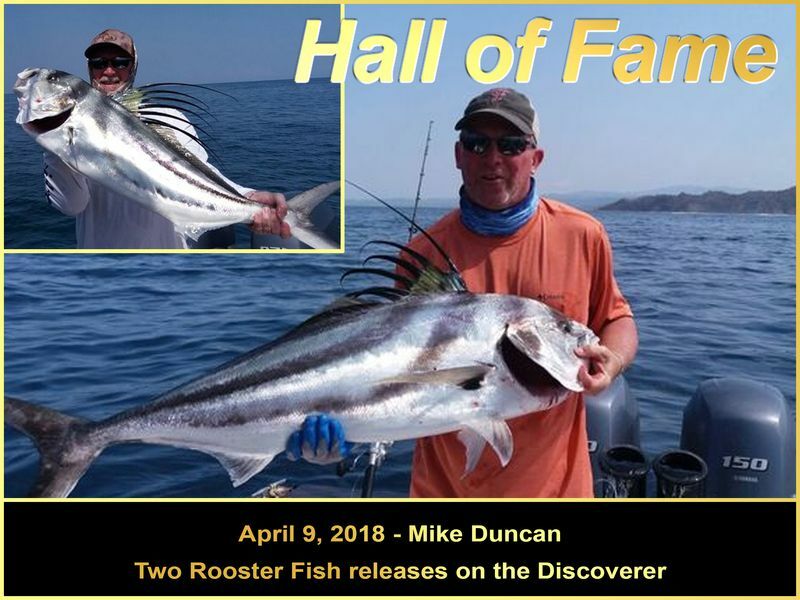 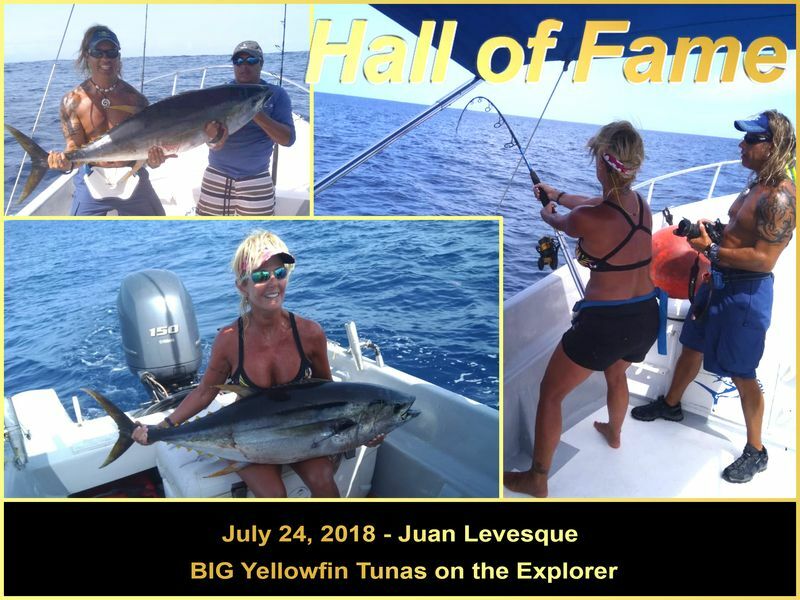 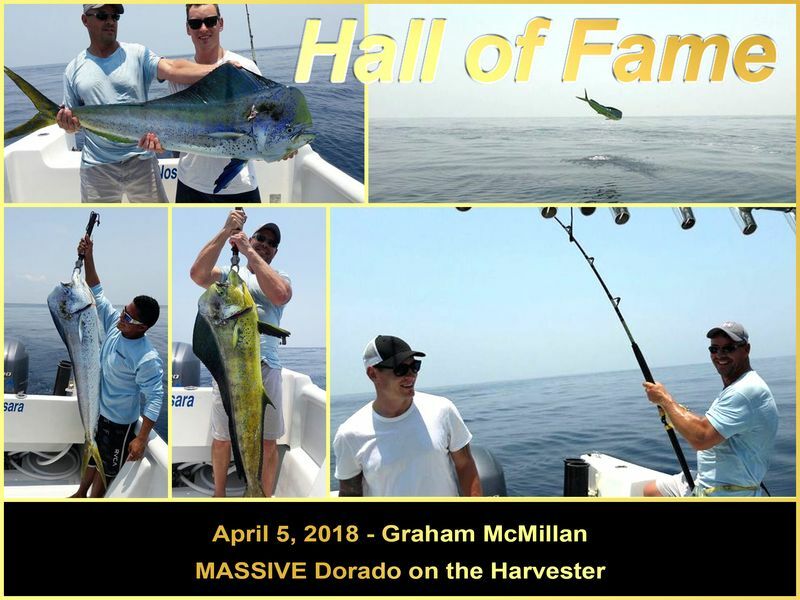 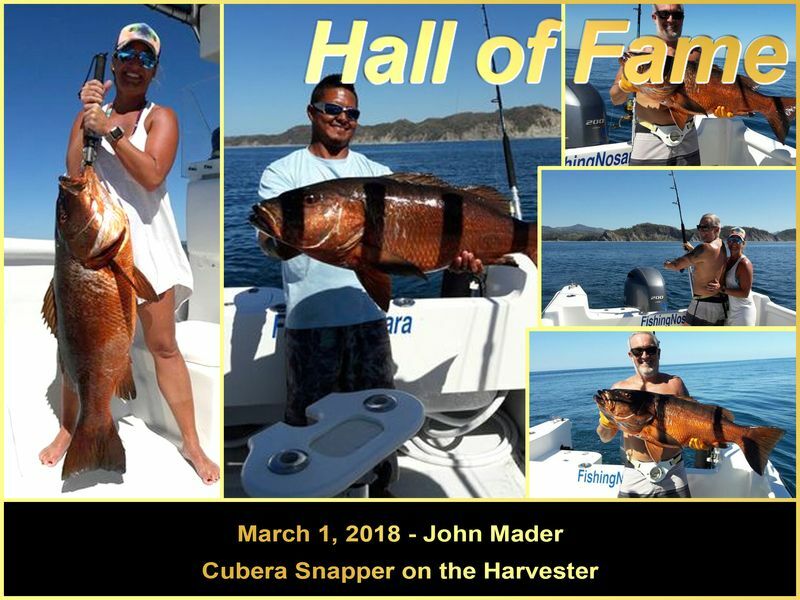 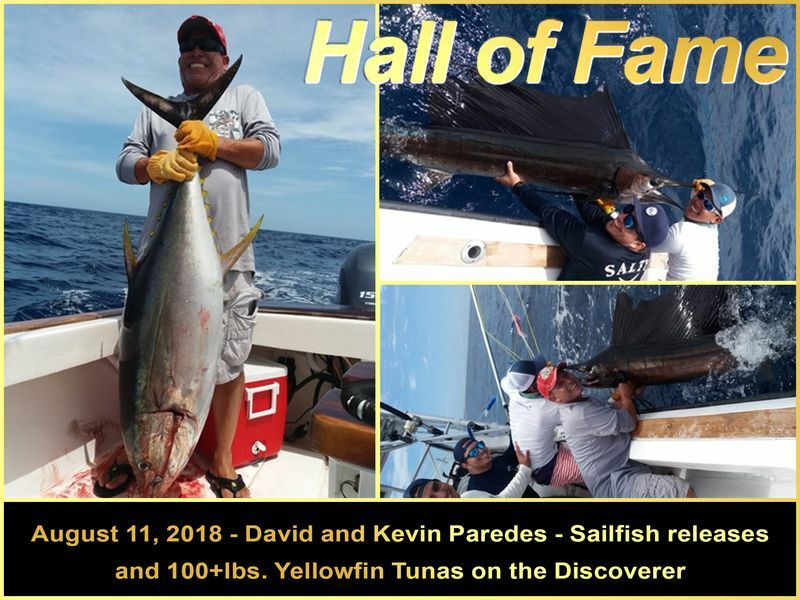 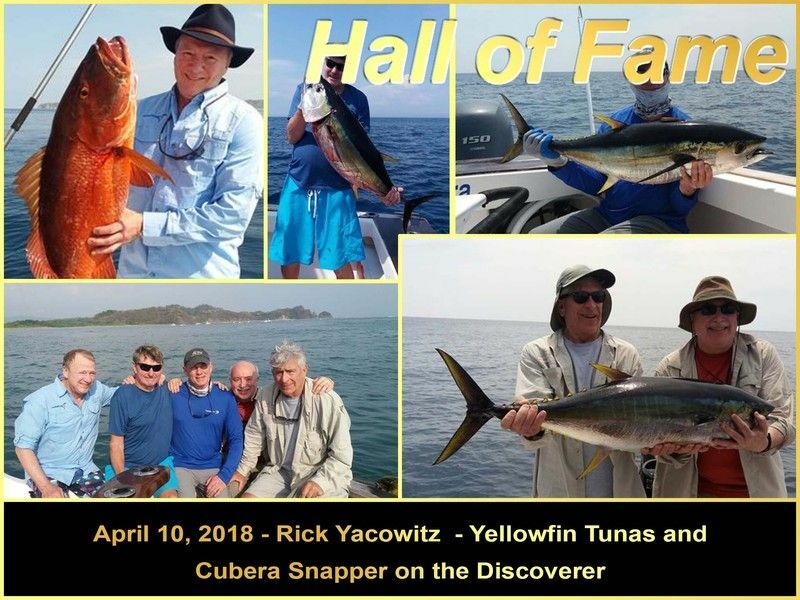 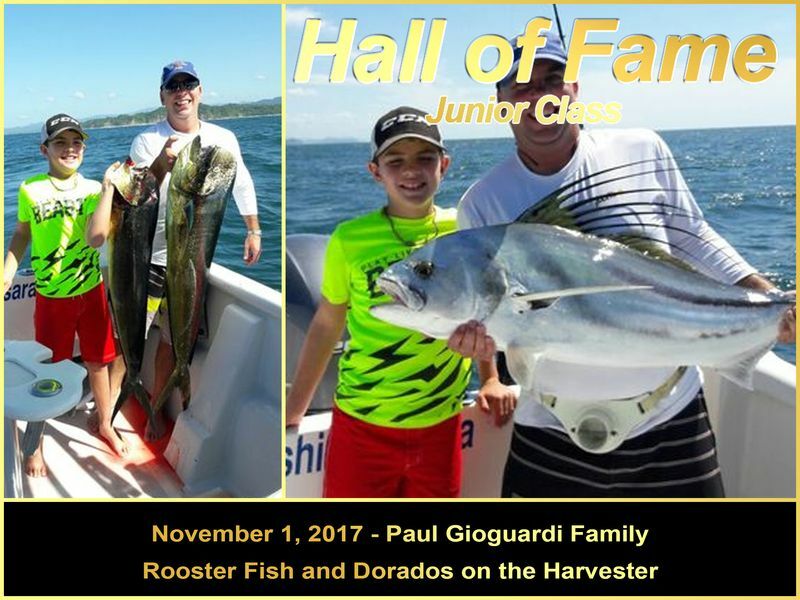 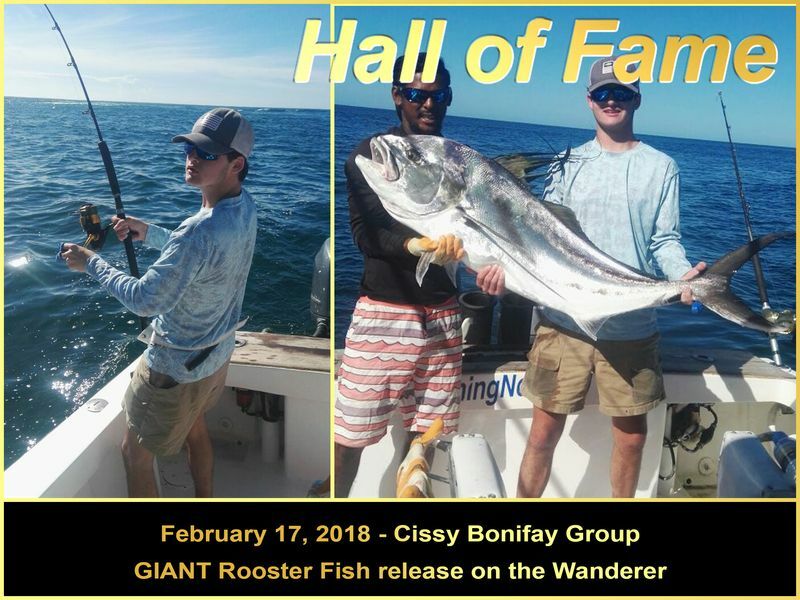 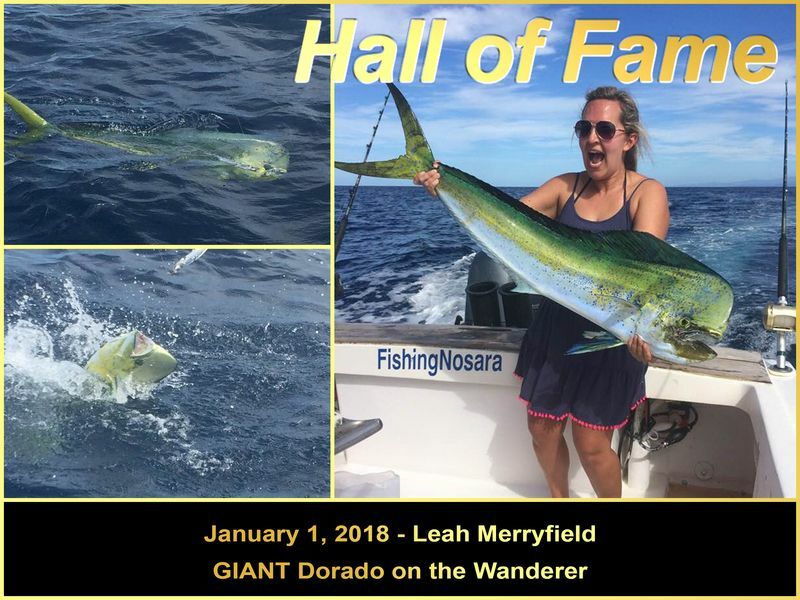 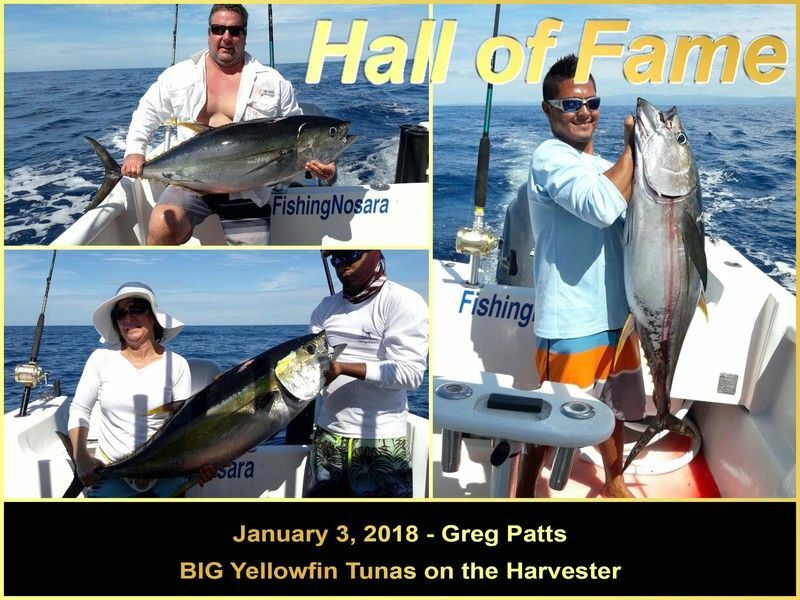 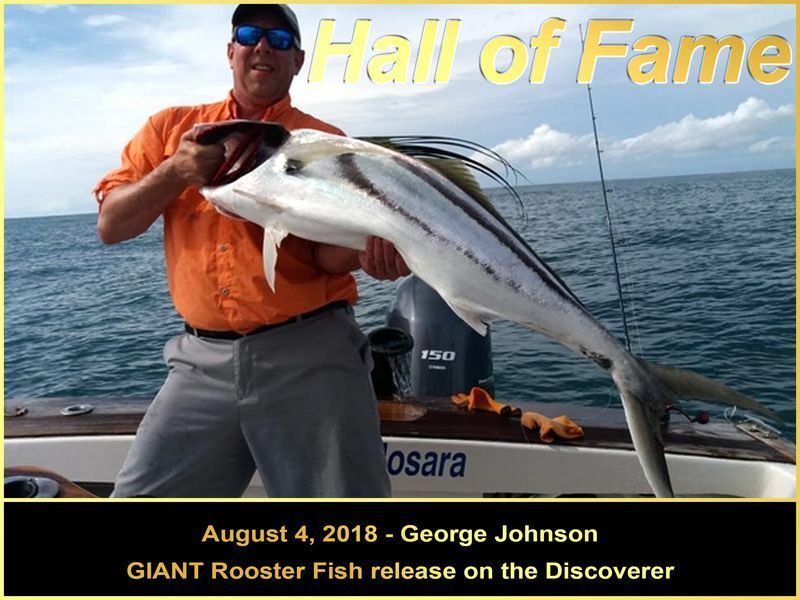 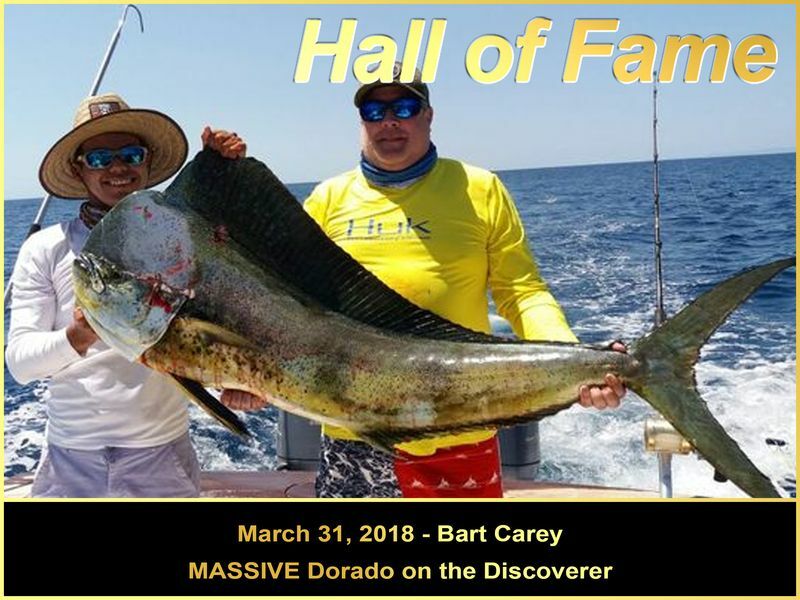 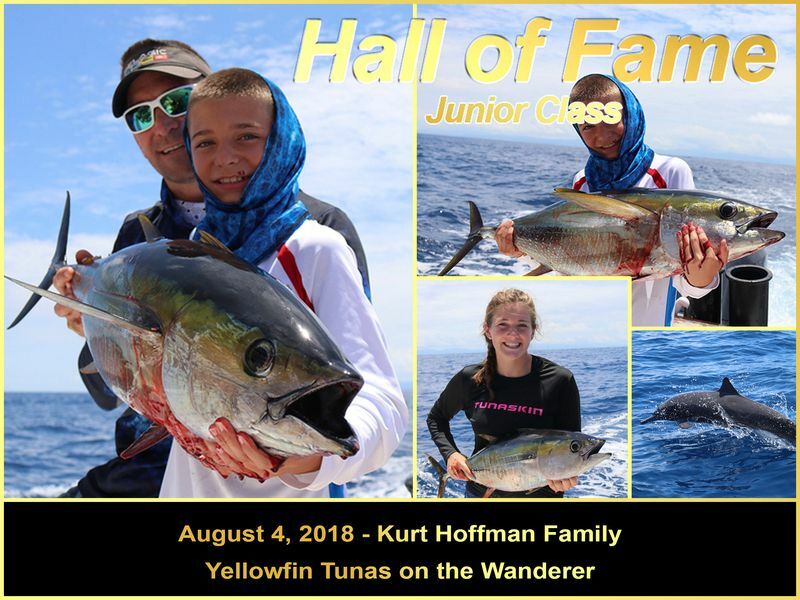 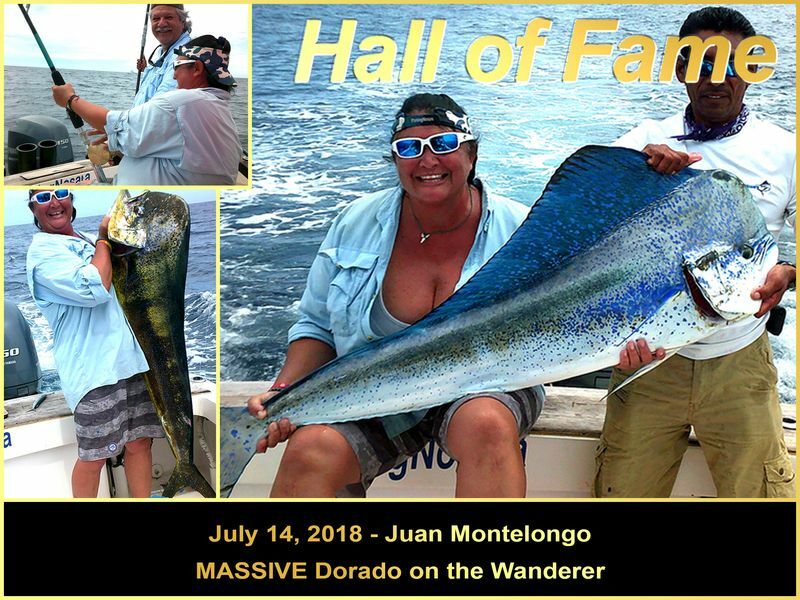 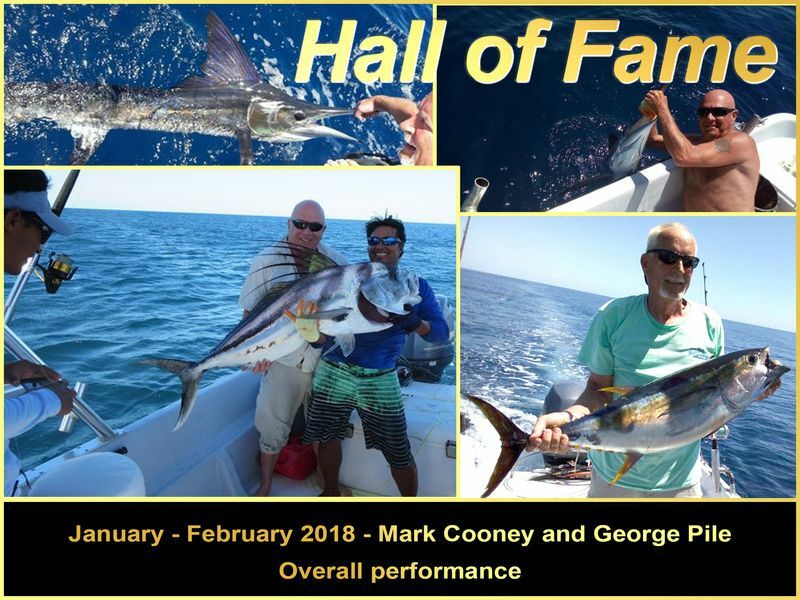 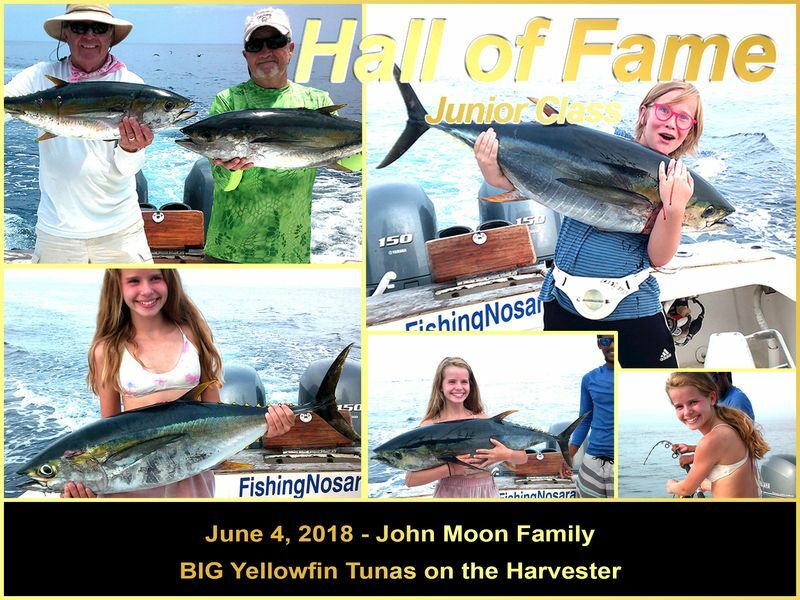 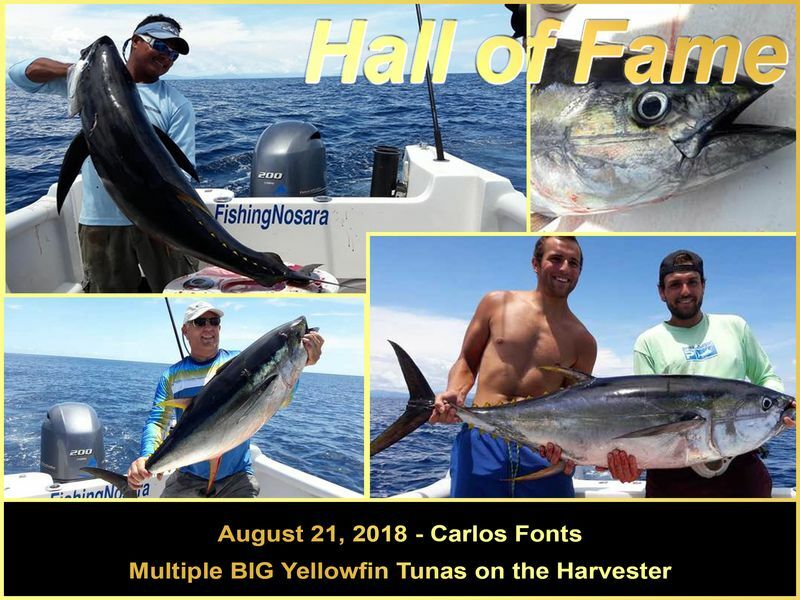 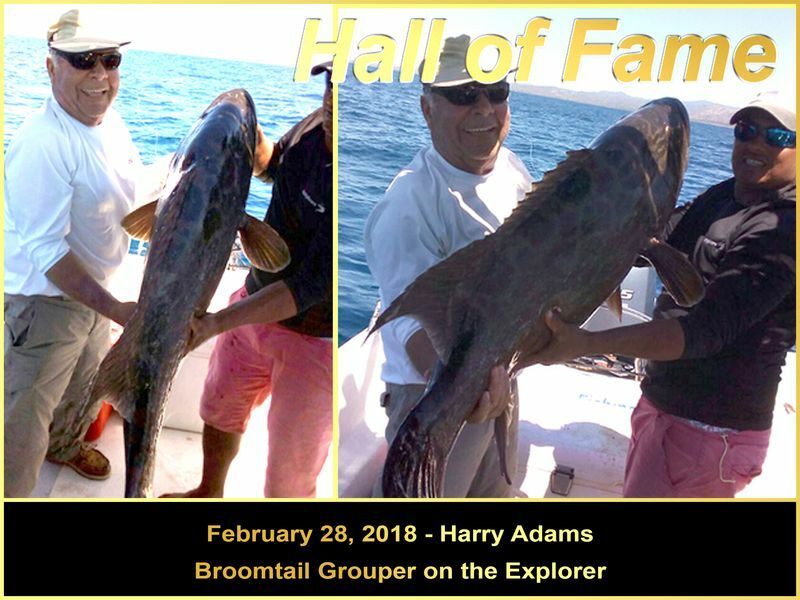 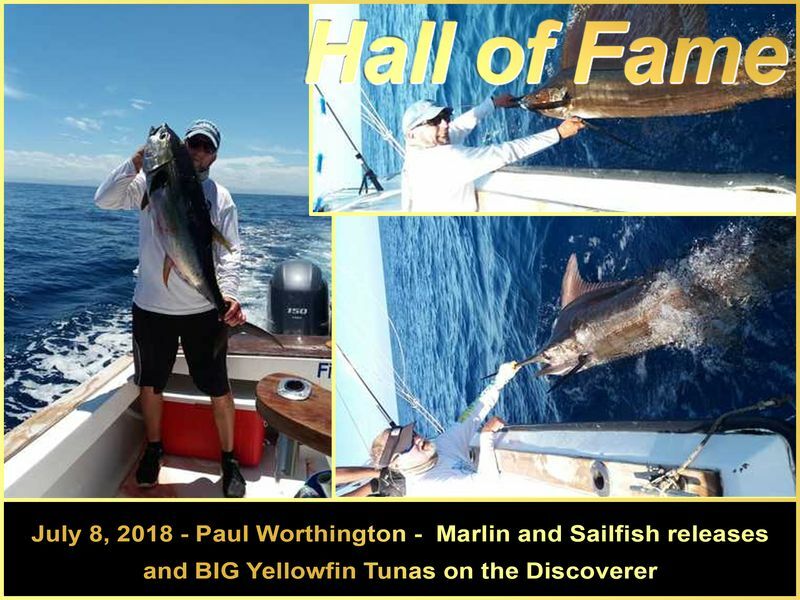 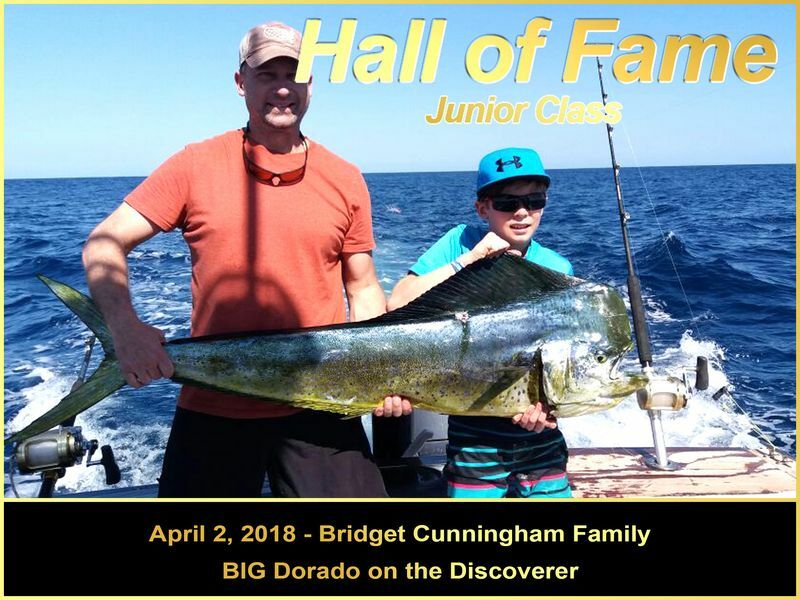 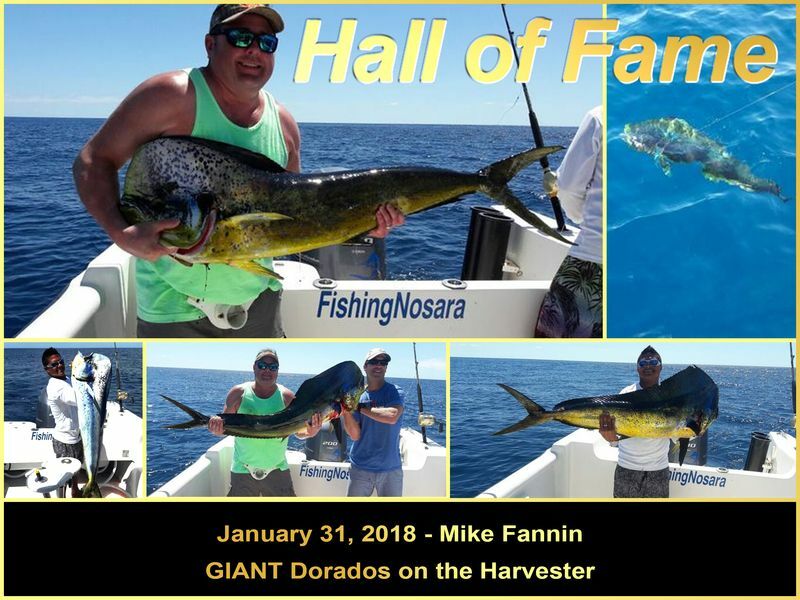 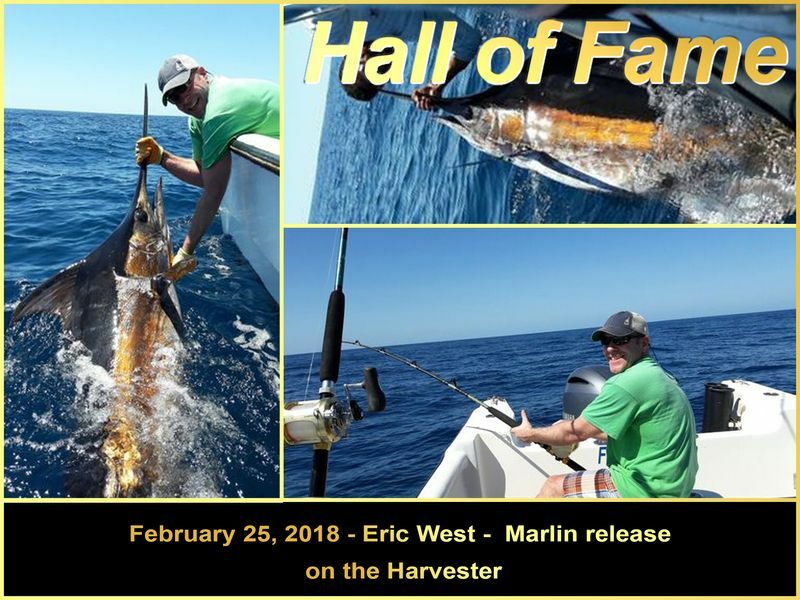 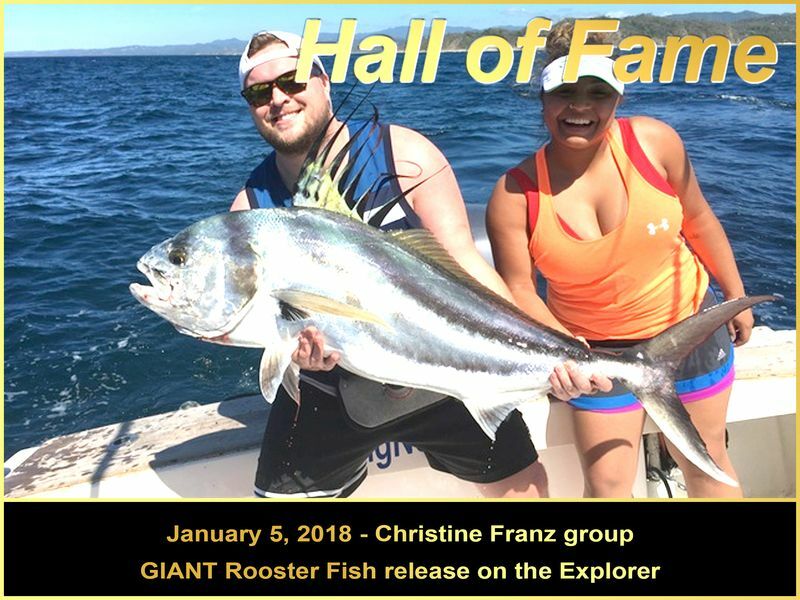 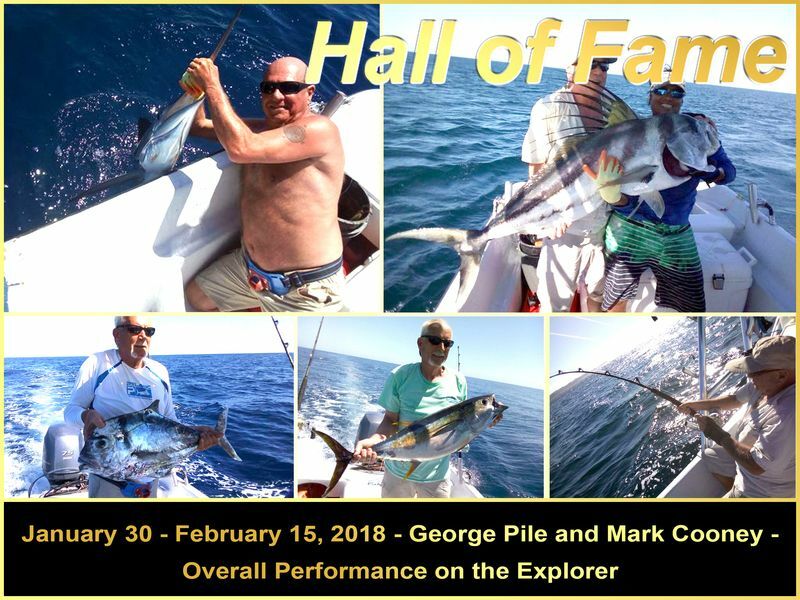 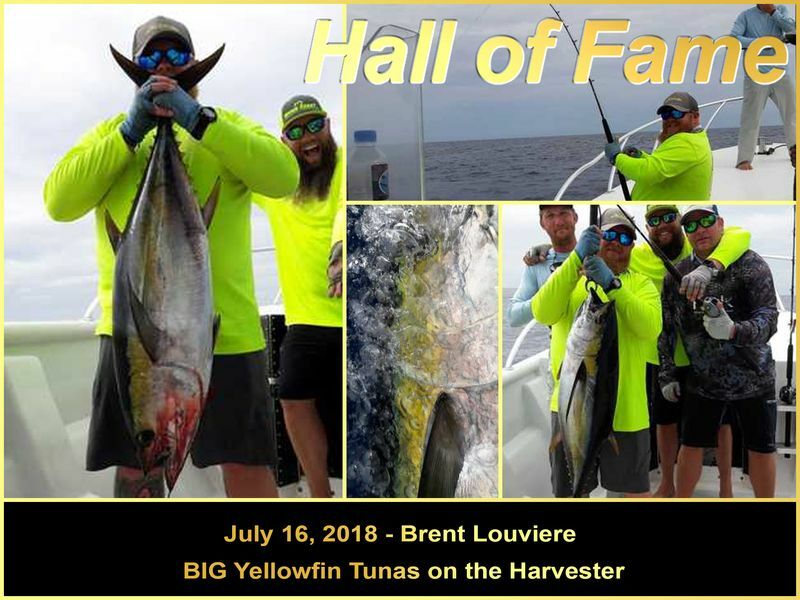 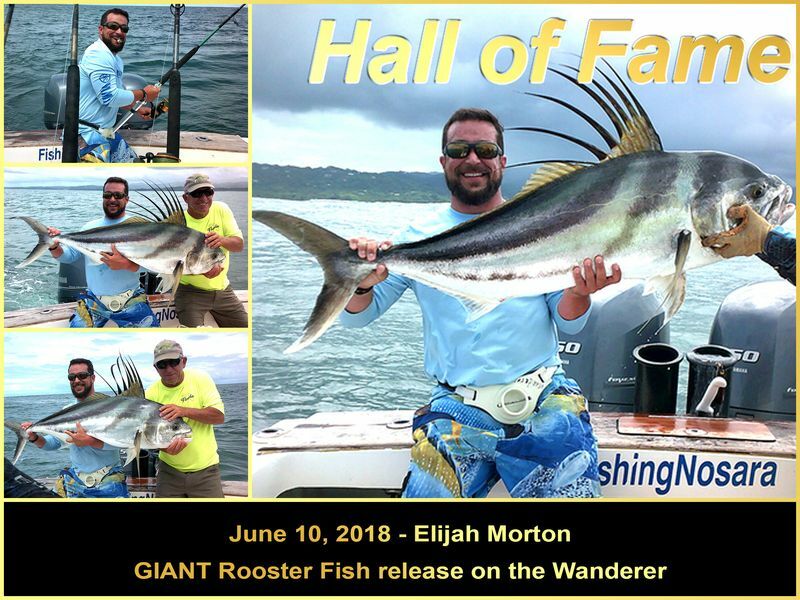 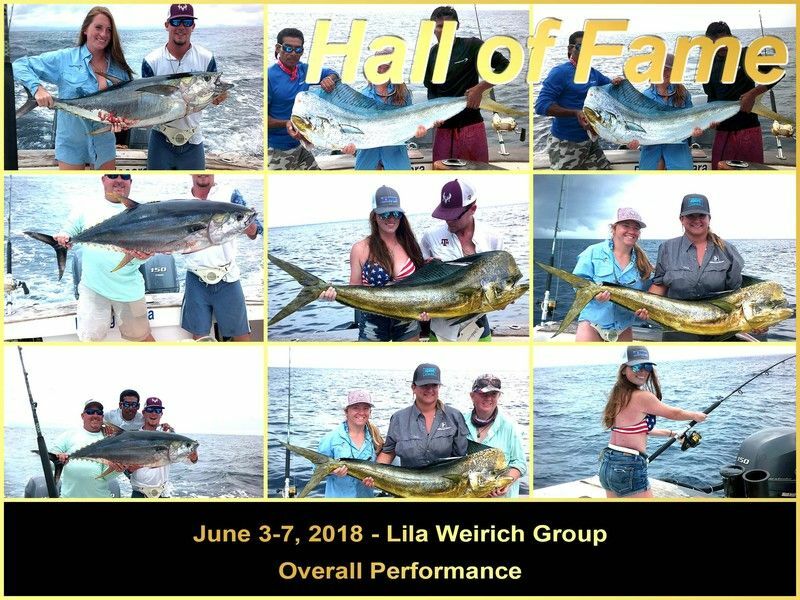 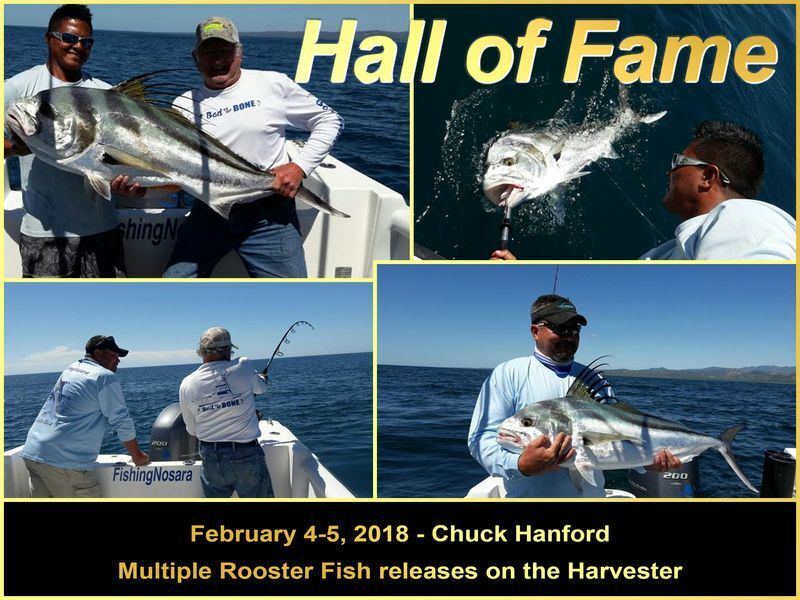 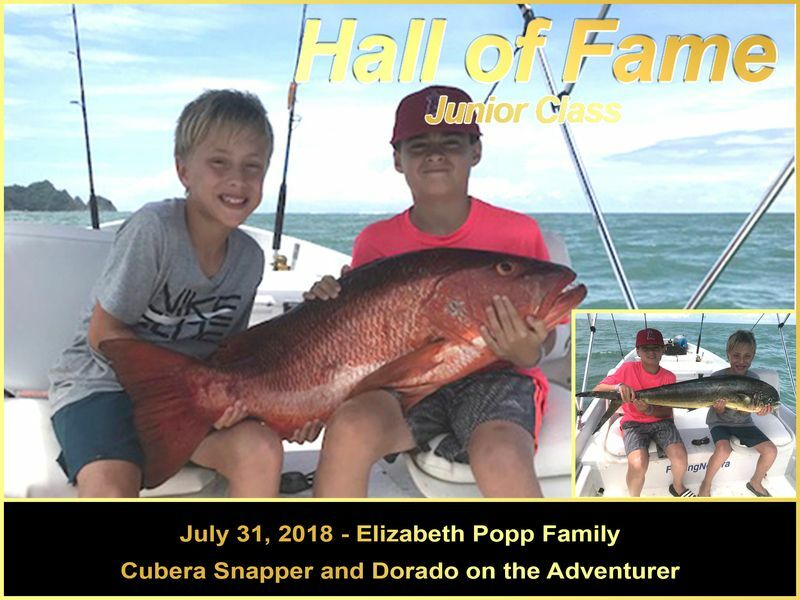 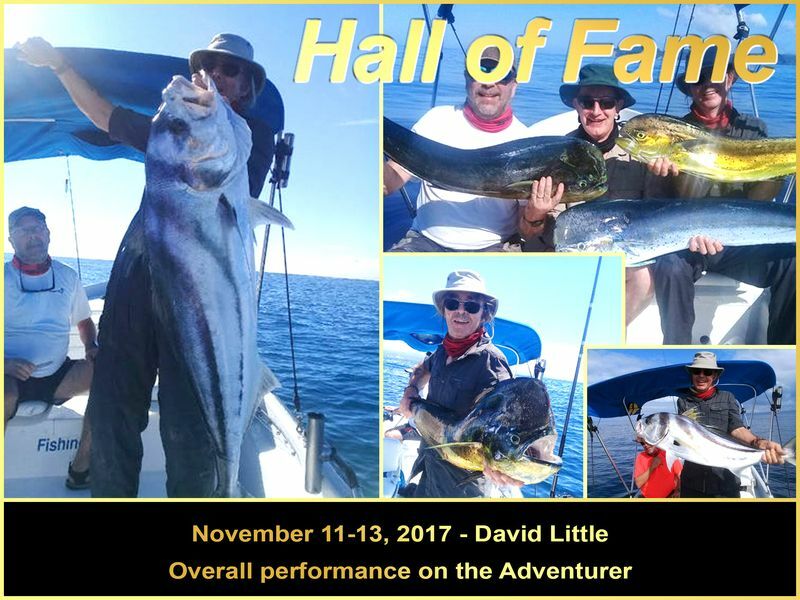 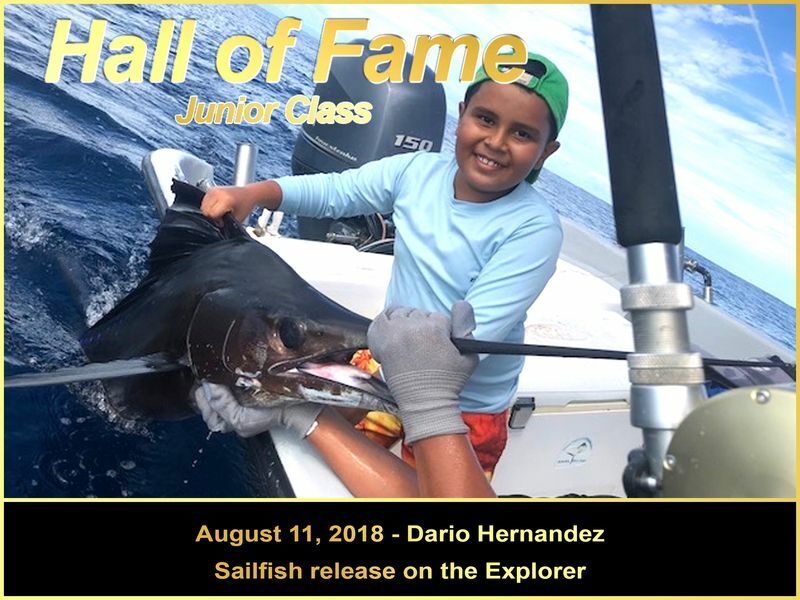 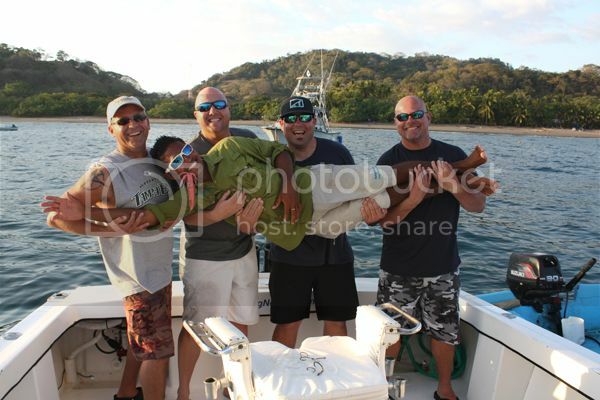 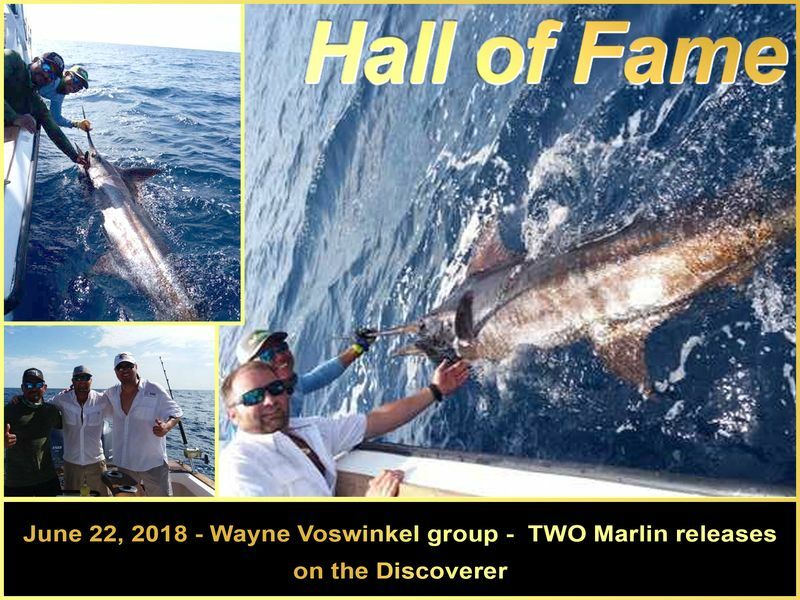 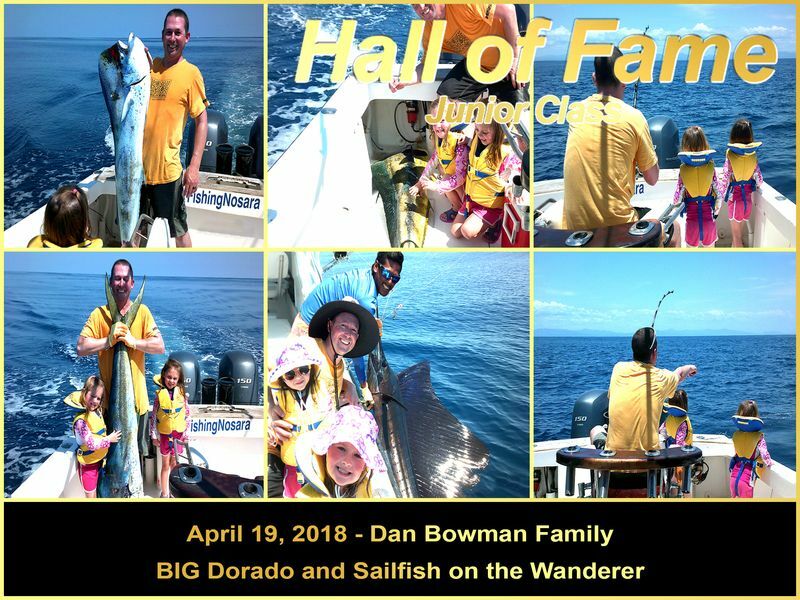 Less than a dozen Grand Slams are reported worldwide in a given year and this performance will serve as the high water mark for years to come for Costa Rican sportfishing. 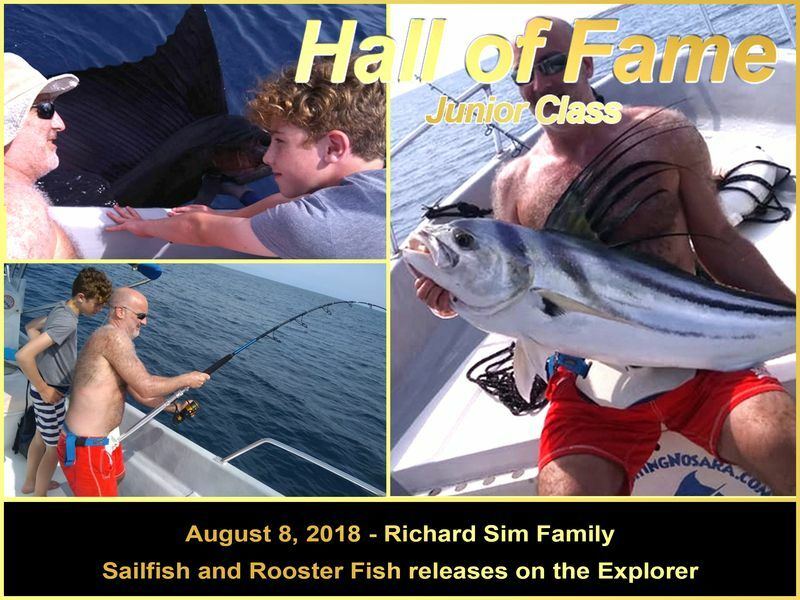 The Stripey was the first one to get snared by the mighty Wanderer‘s spread and John did great work to make this fight quick and efficient. 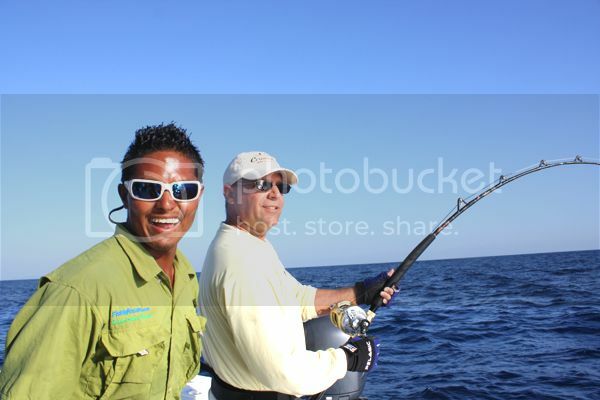 Captain William kept the boat in perfect position for the contest and the angler kept tension like a pro. 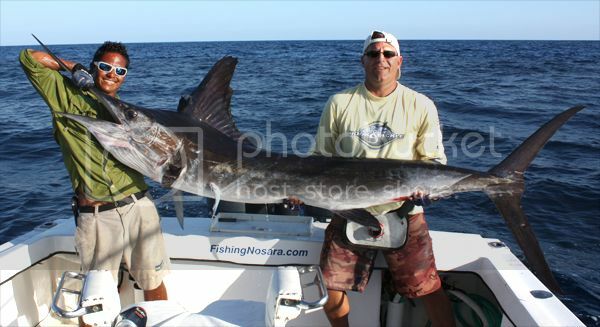 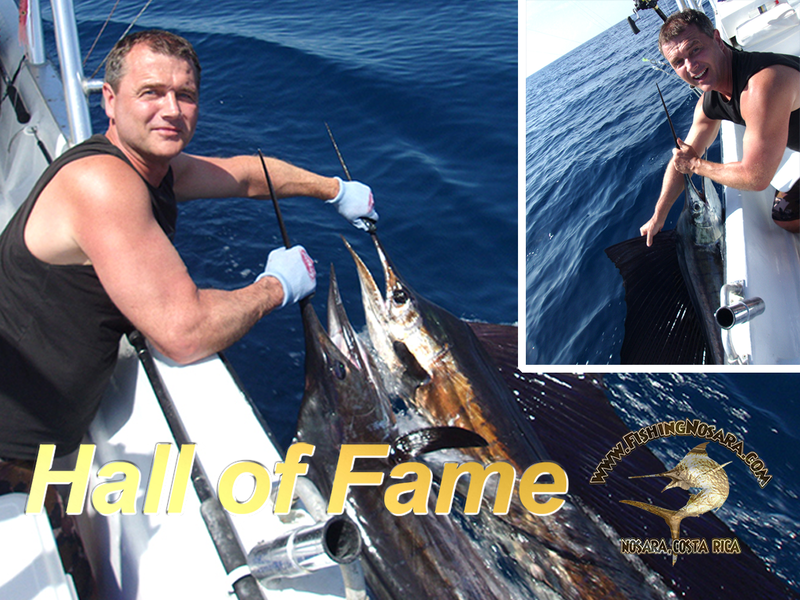 Fantastic work by First Mate Alex who is always pumped up when big billfish come calling. 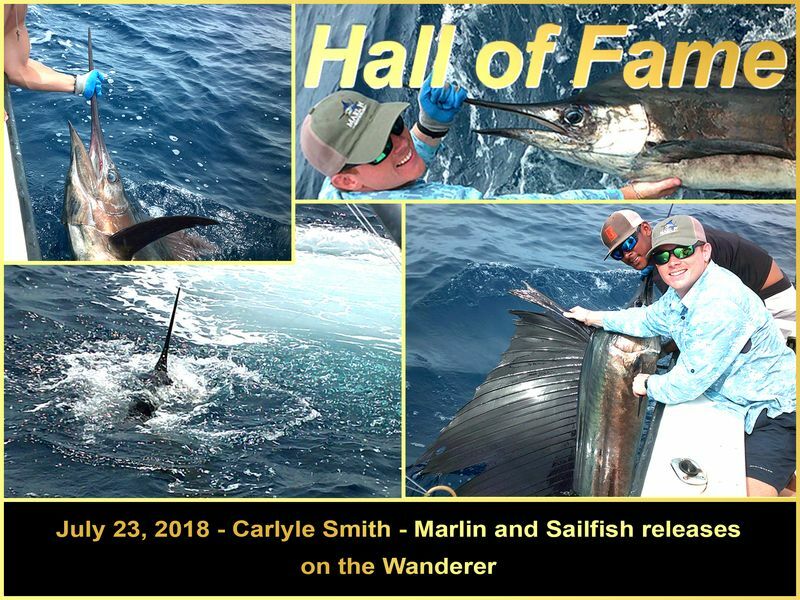 Next up was a very nice Pacific Sailfish which would be a highlight on any other day with any other anglers; for these hombres this Sailfish release was as routine as a free throw. 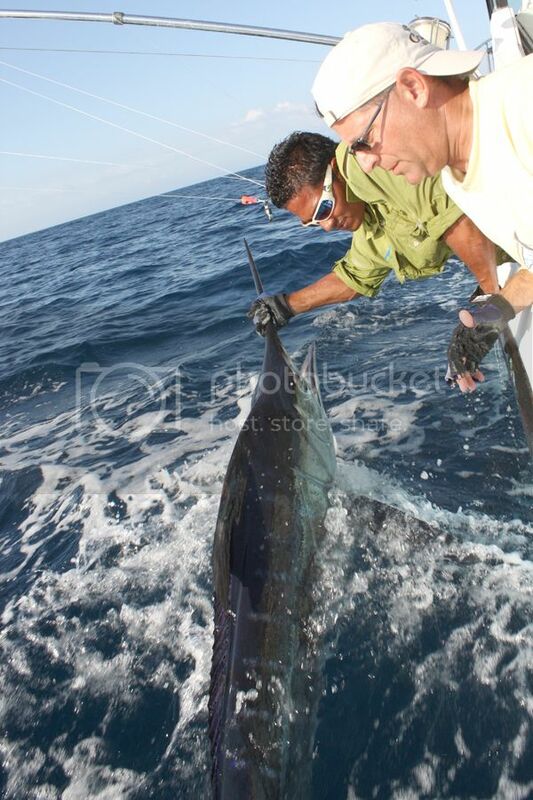 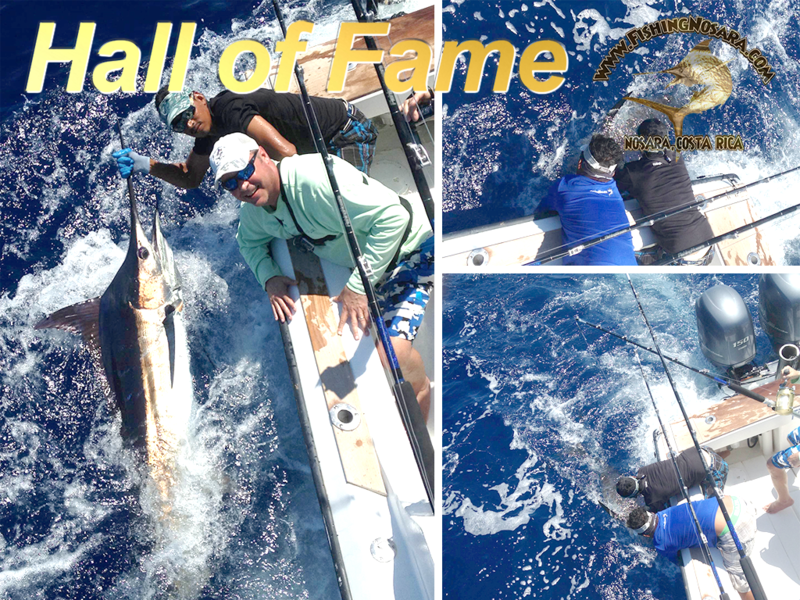 The final piece of the Grand Slam came in the form of this MASSIVE Black Marlin that came calling later in the day. 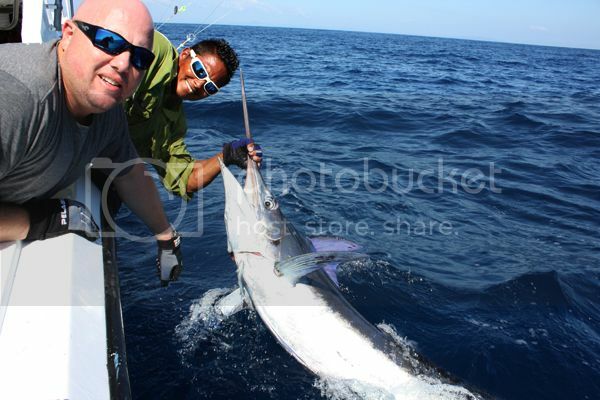 This monster was huge and the look on Alex’s face tells the tale. 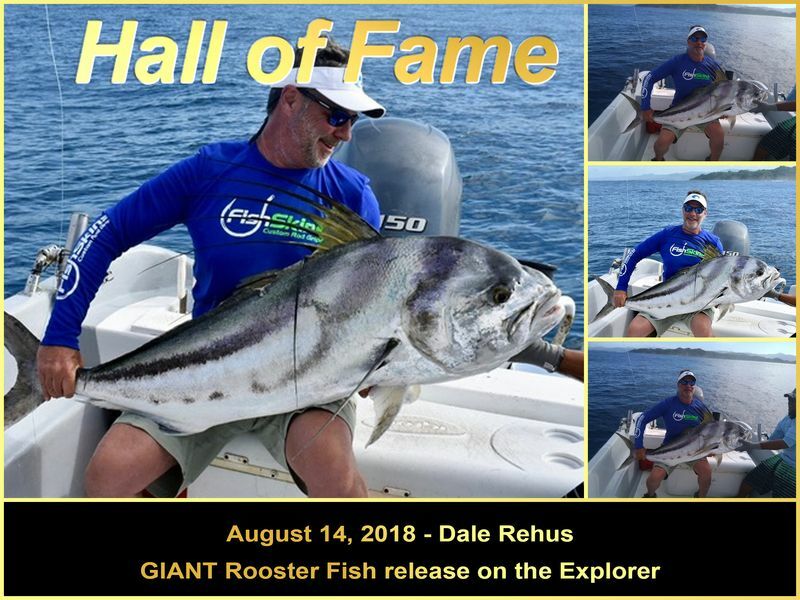 What a fantastic release photo…magazine cover anyone? 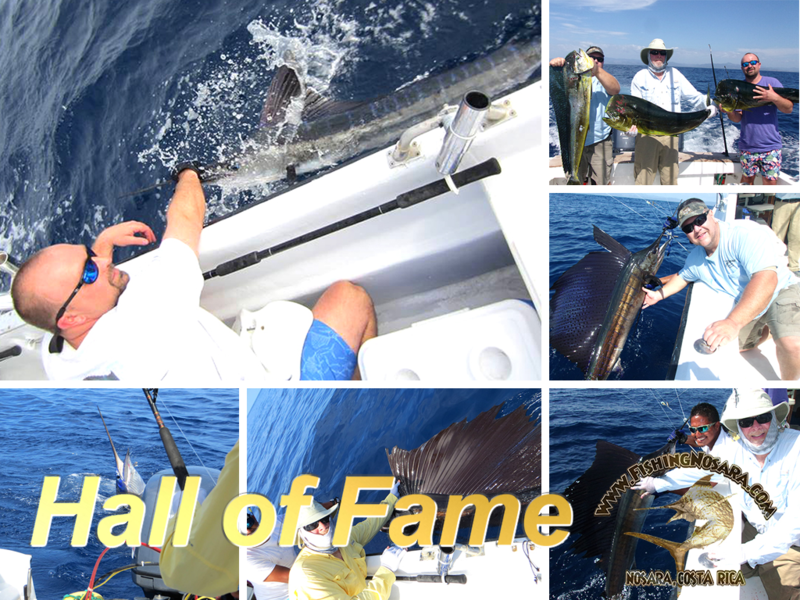 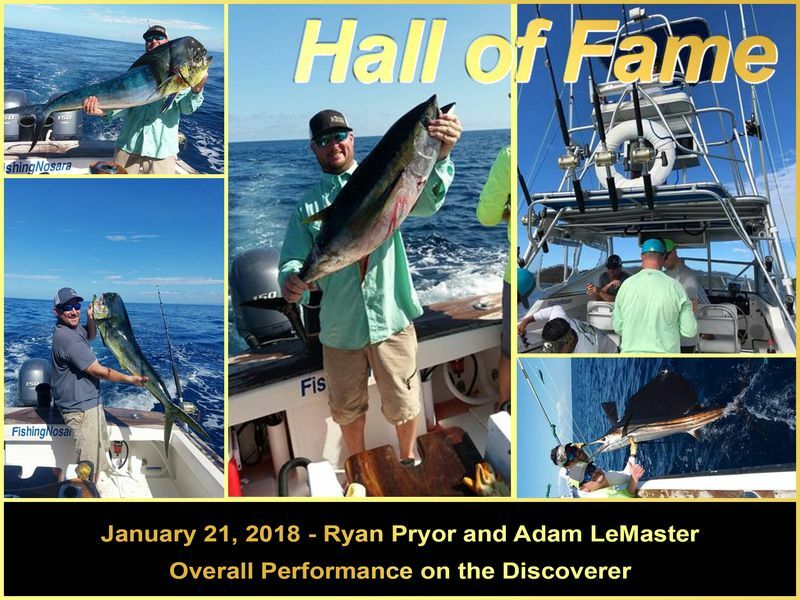 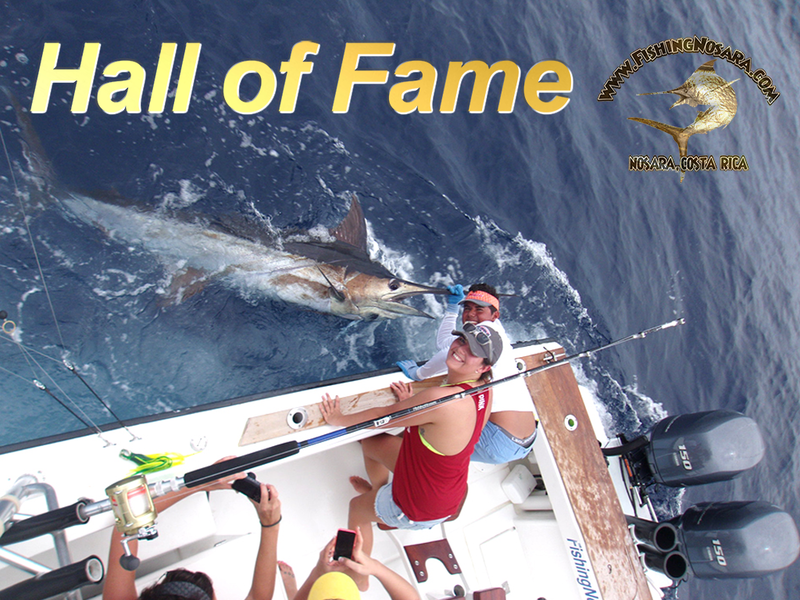 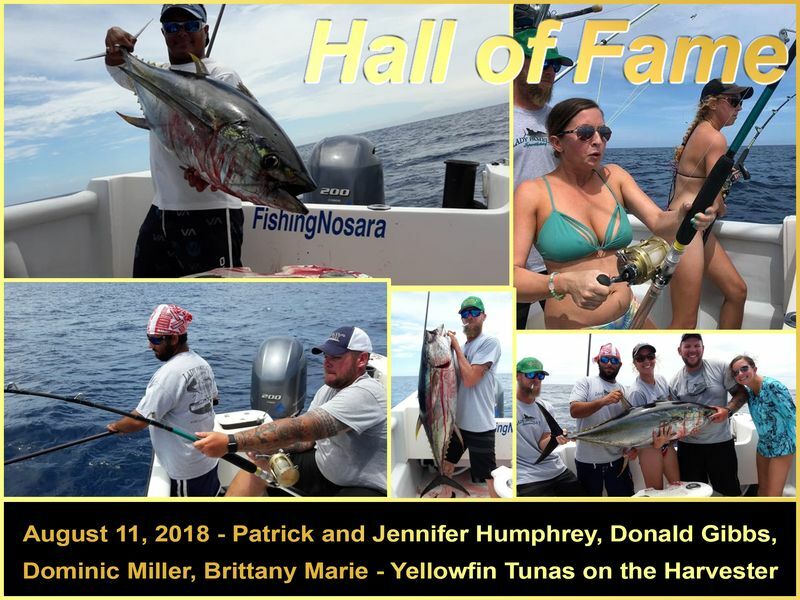 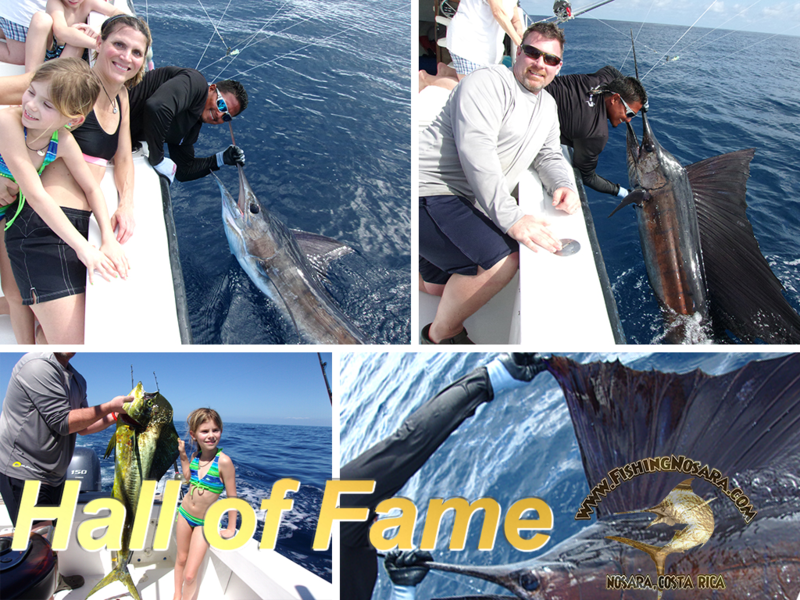 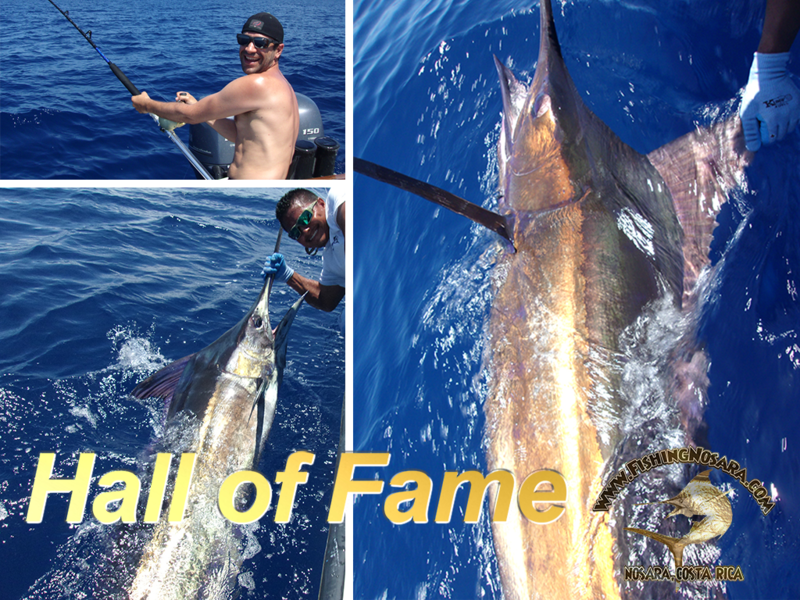 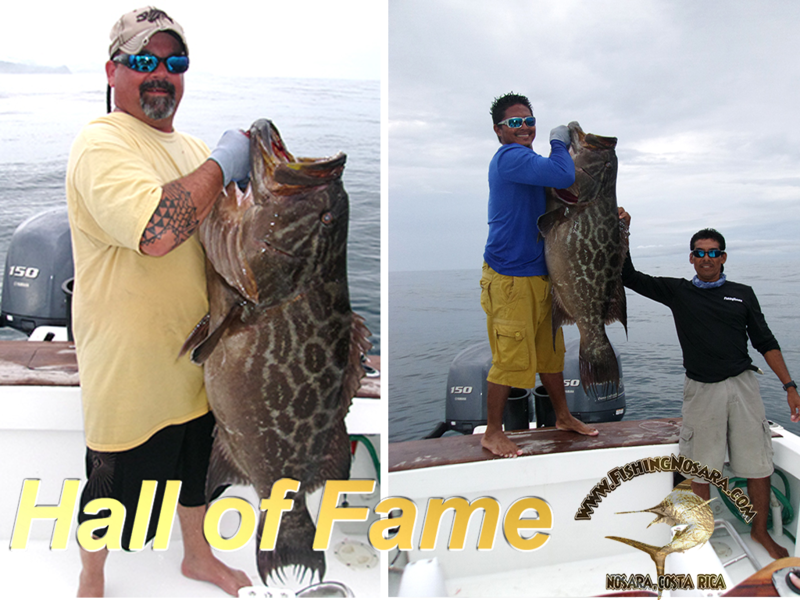 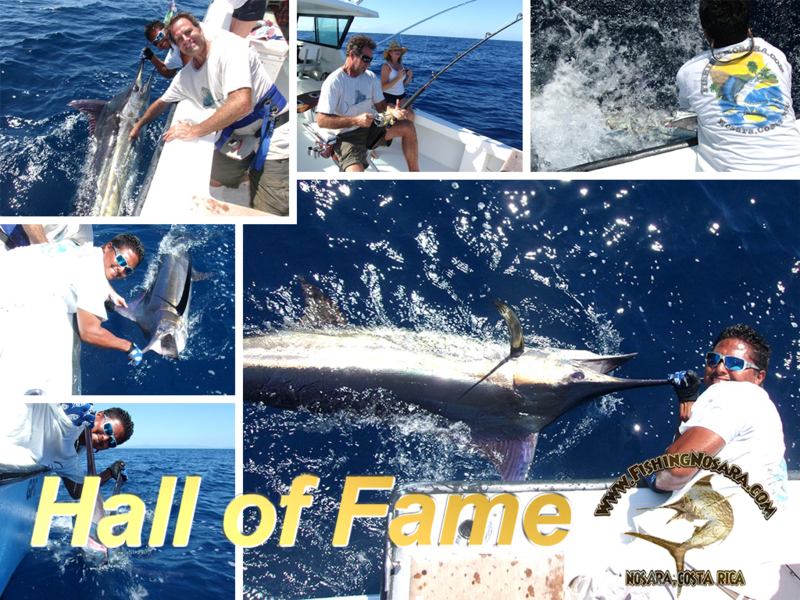 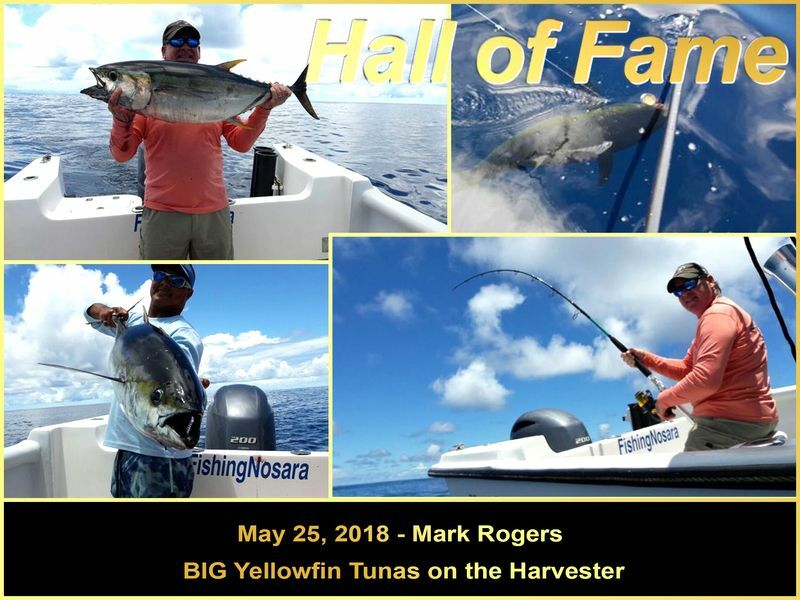 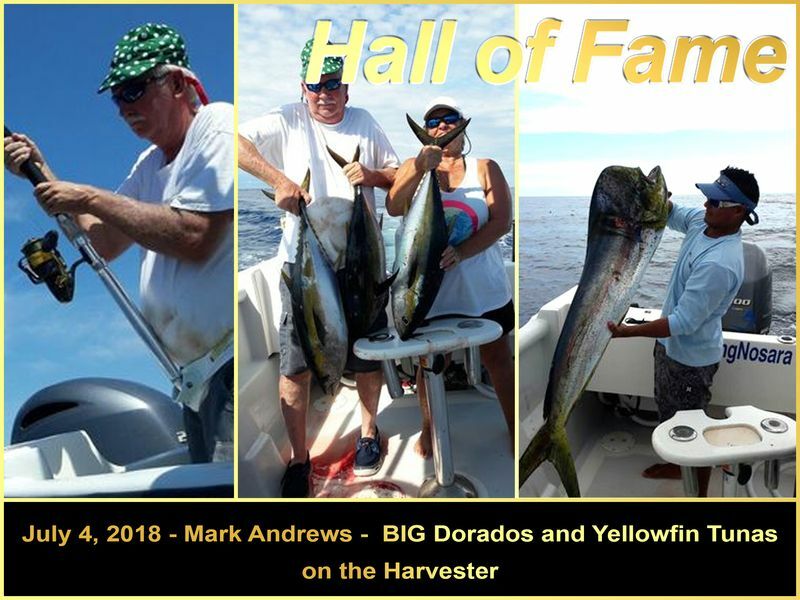 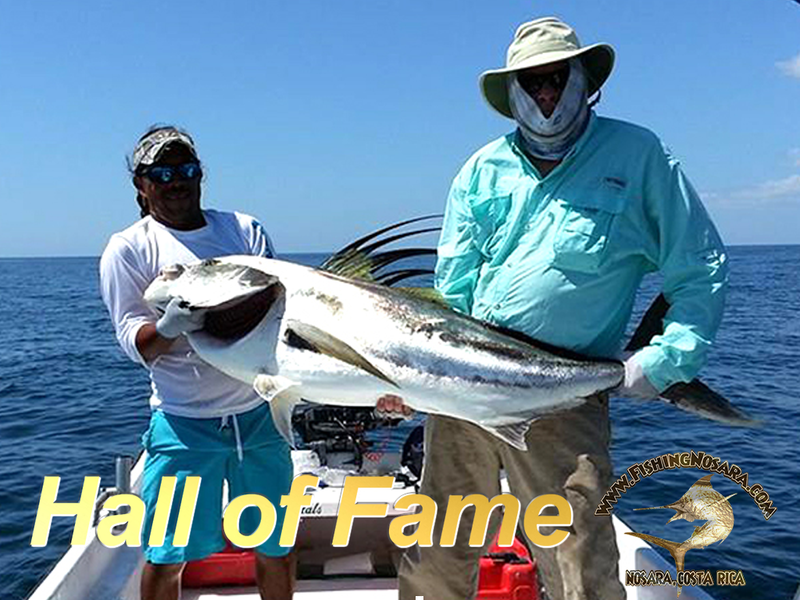 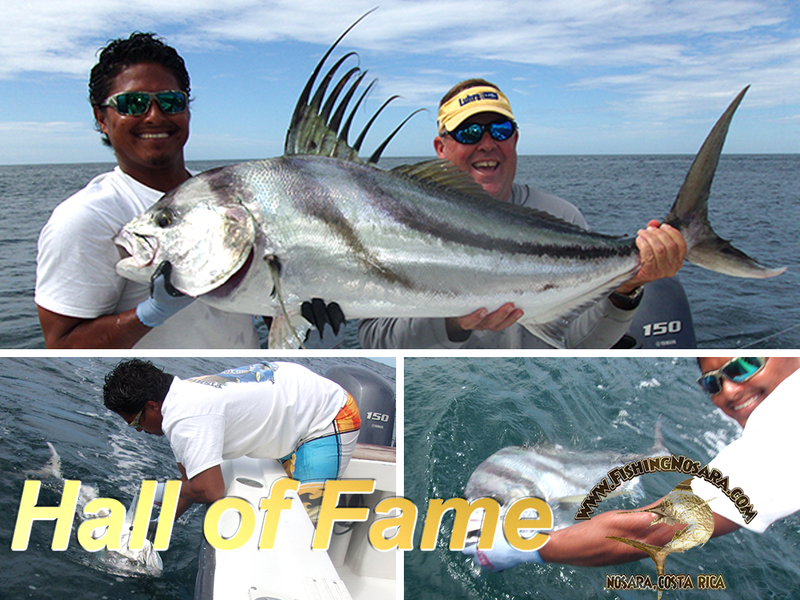 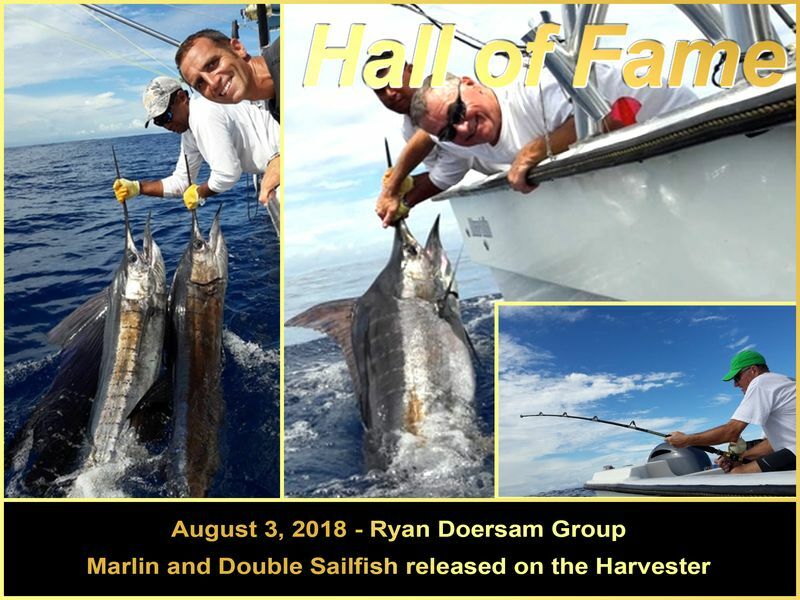 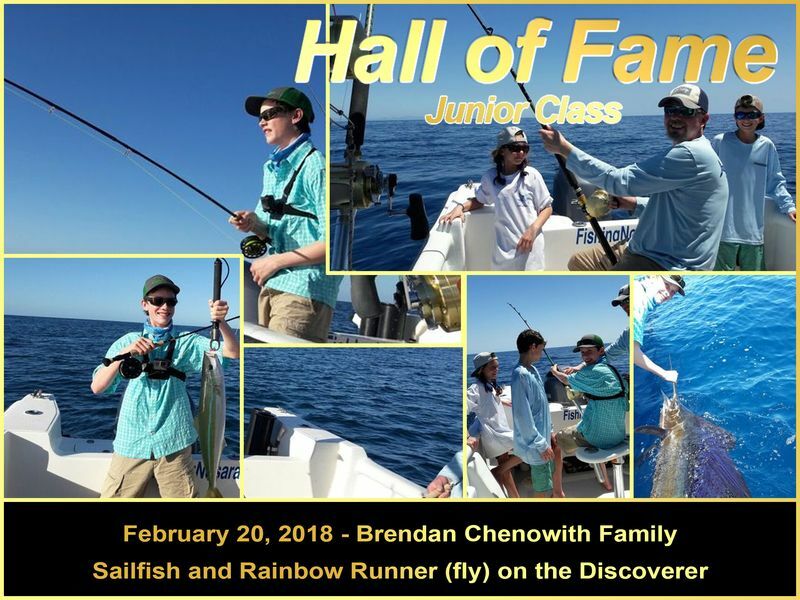 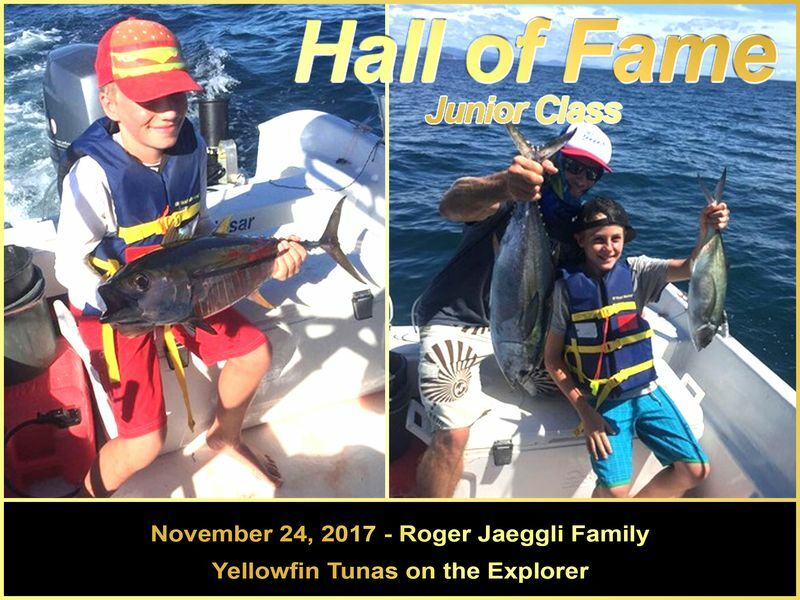 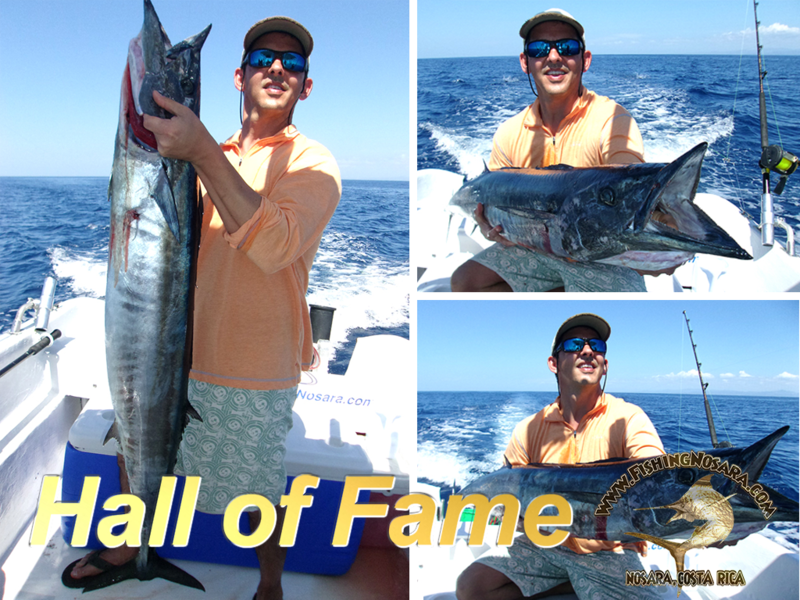 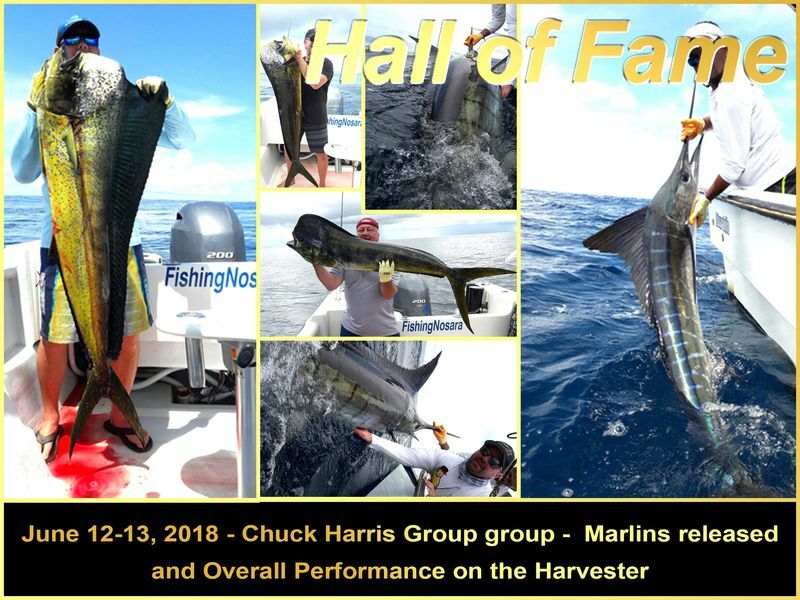 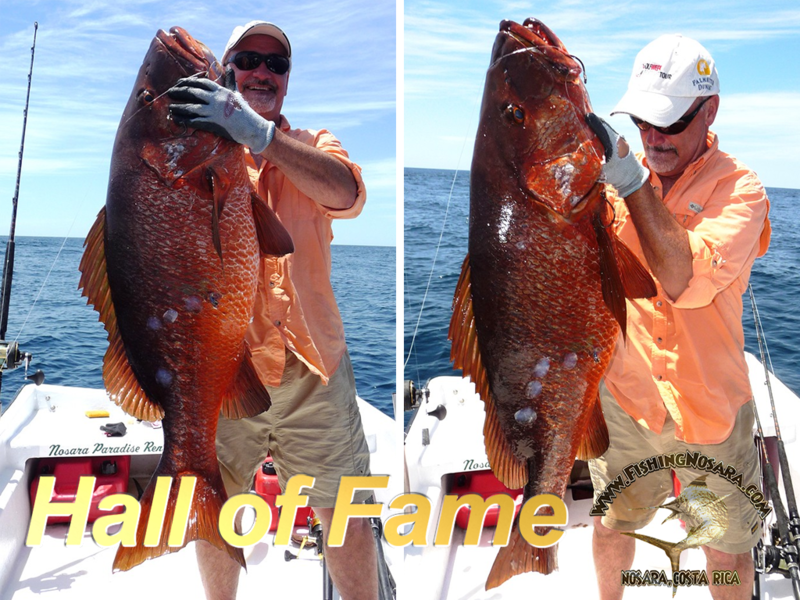 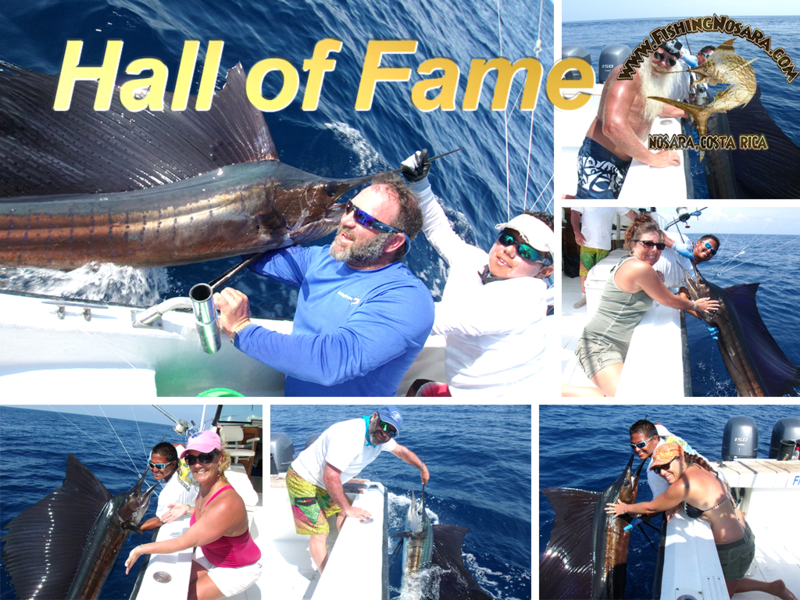 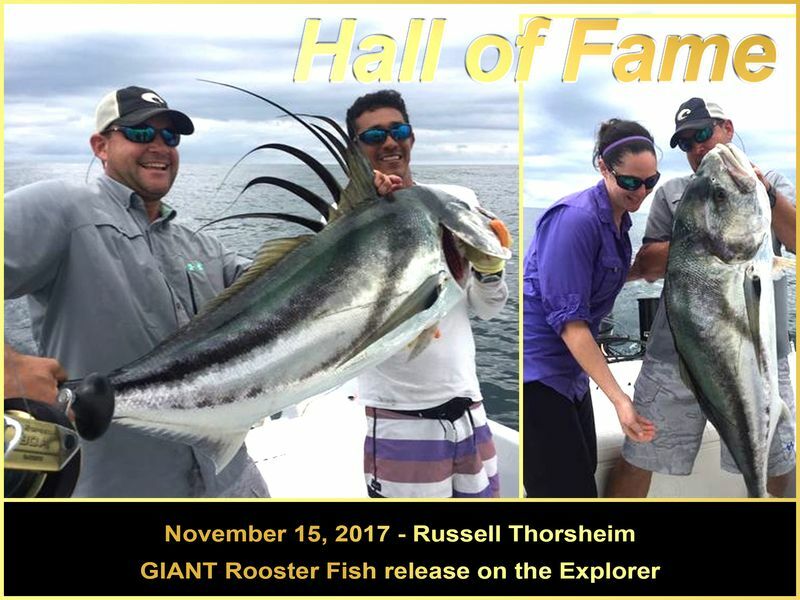 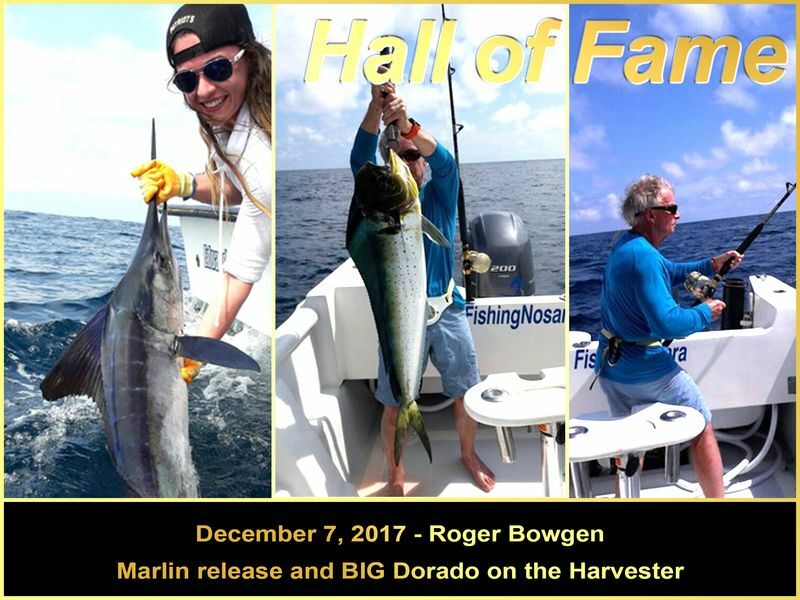 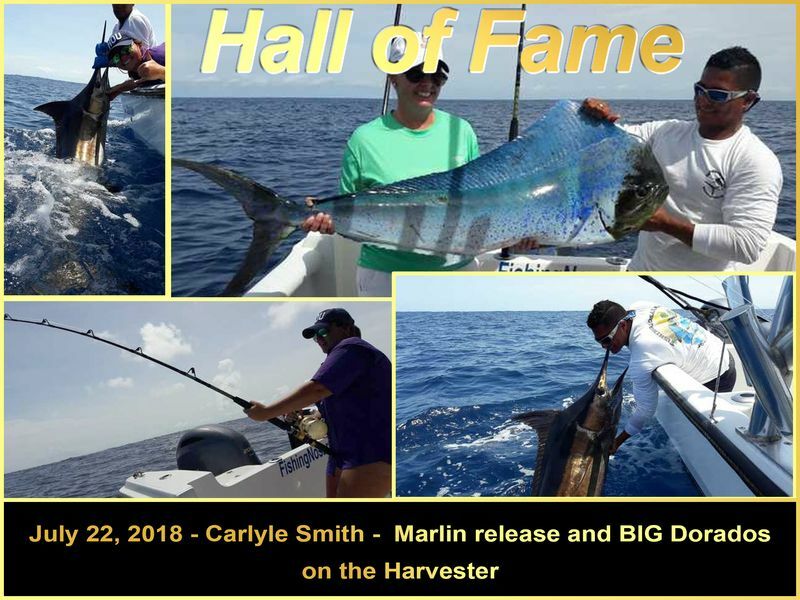 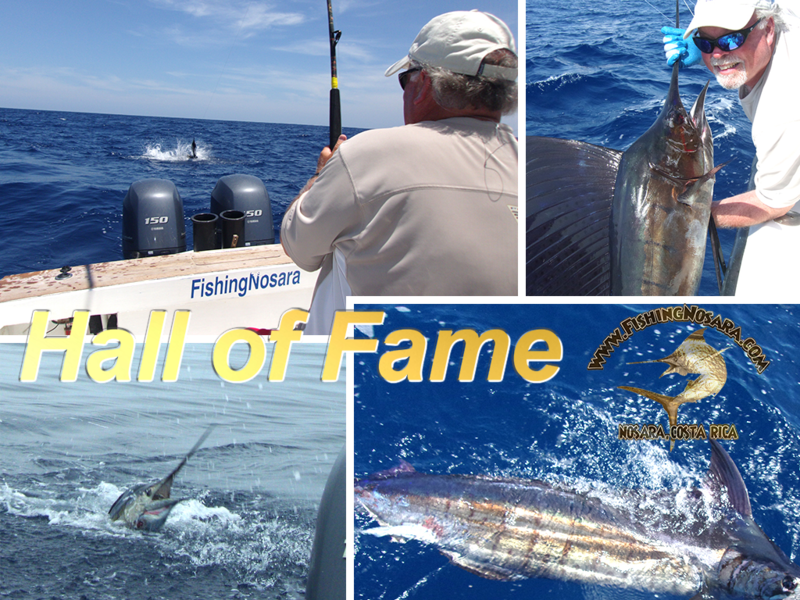 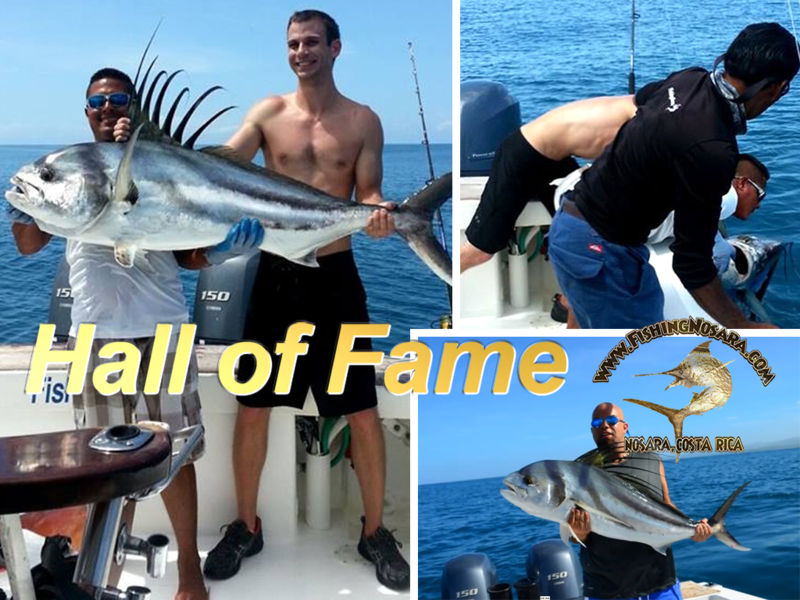 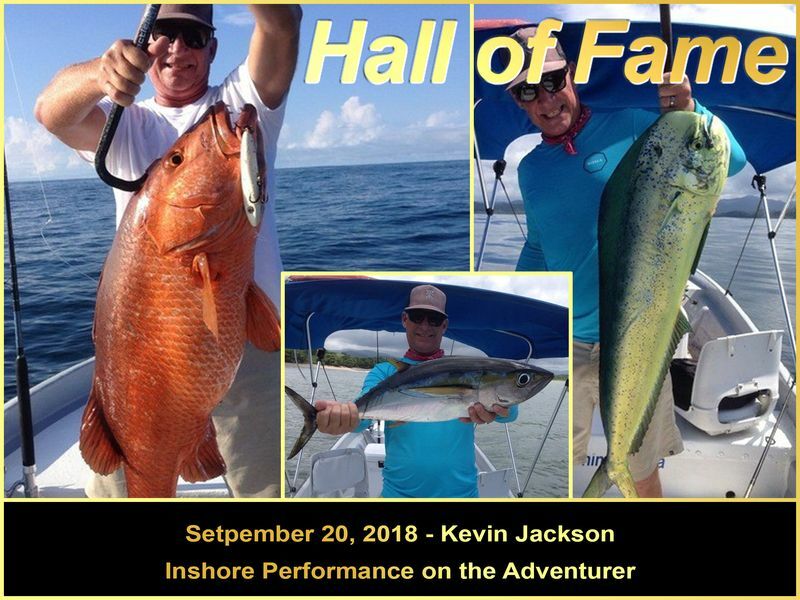 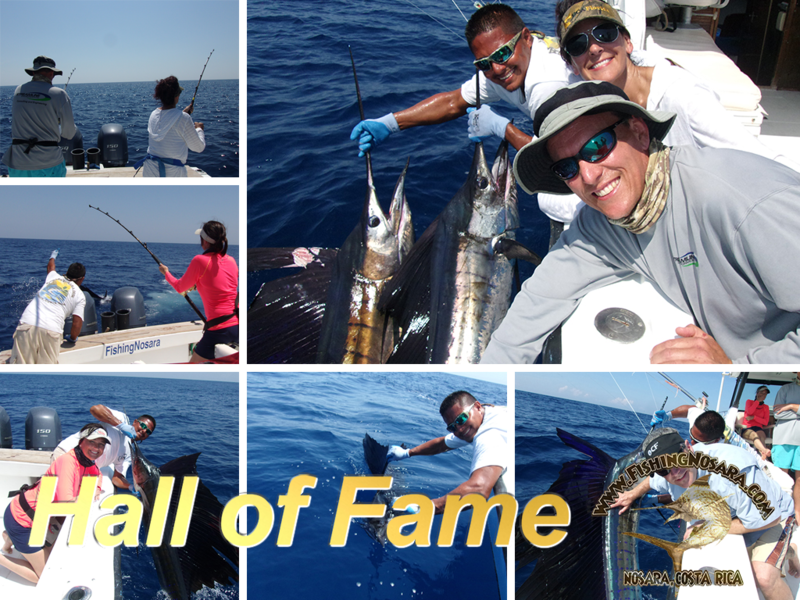 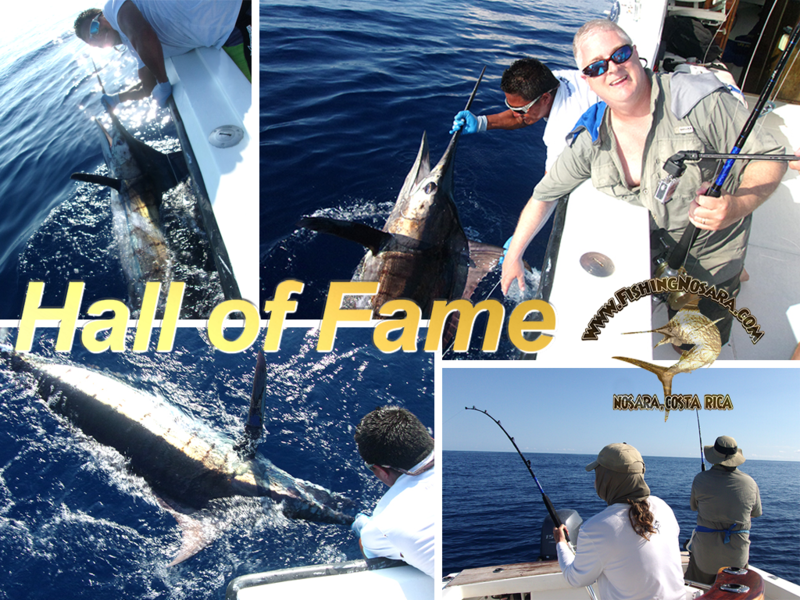 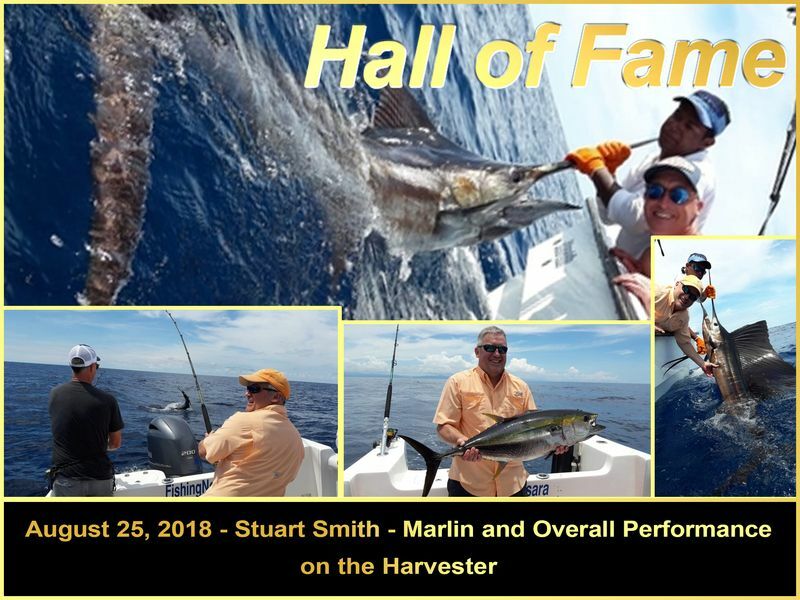 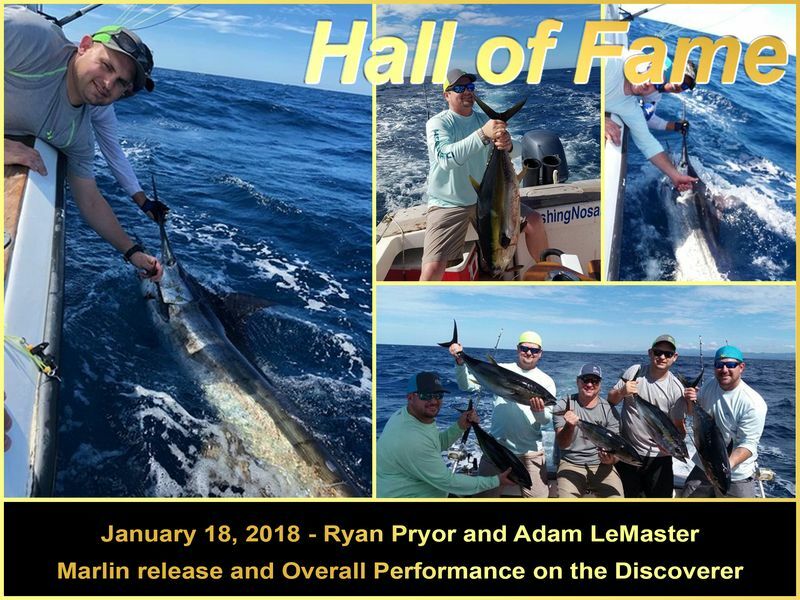 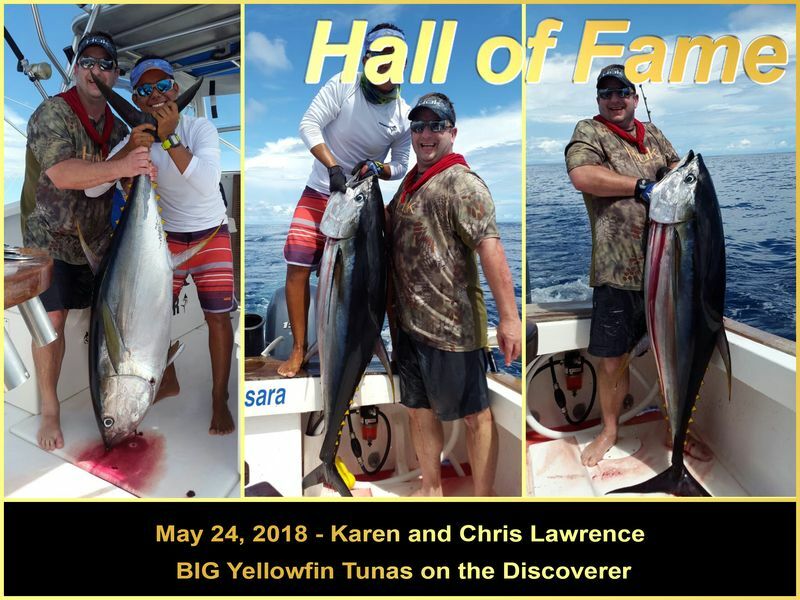 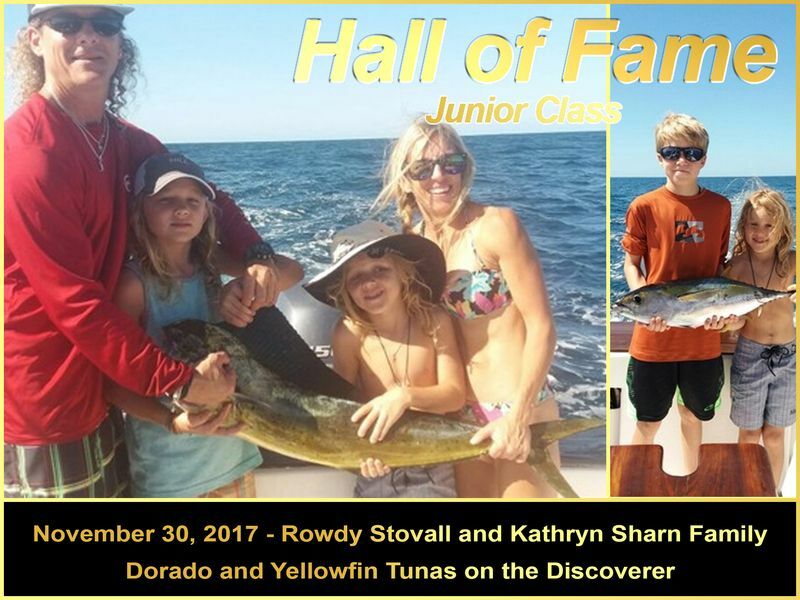 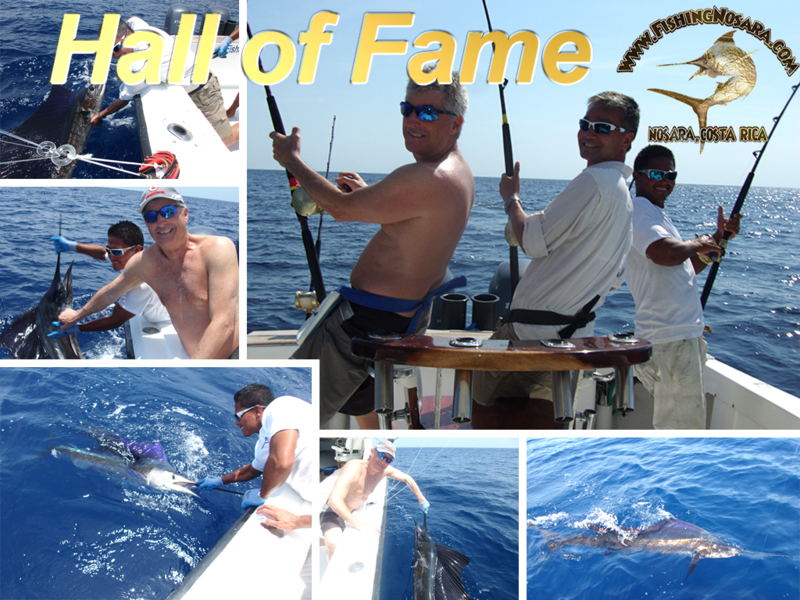 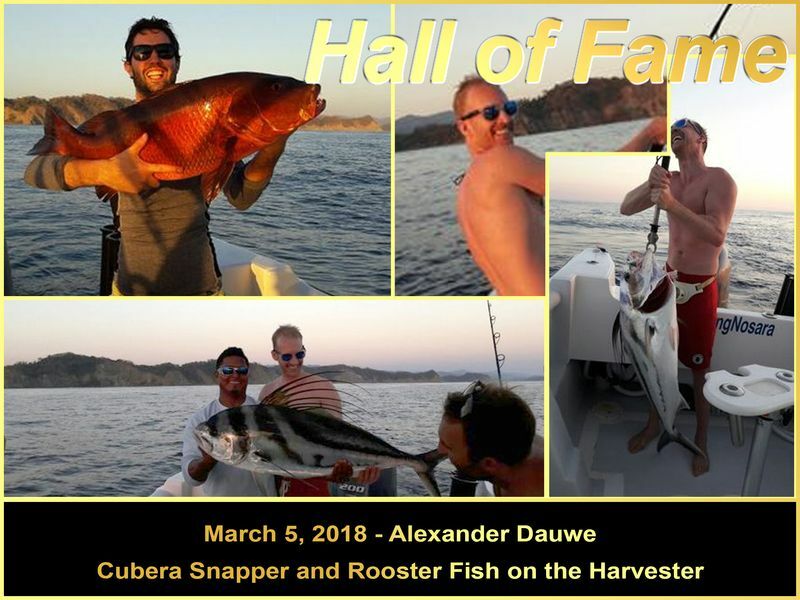 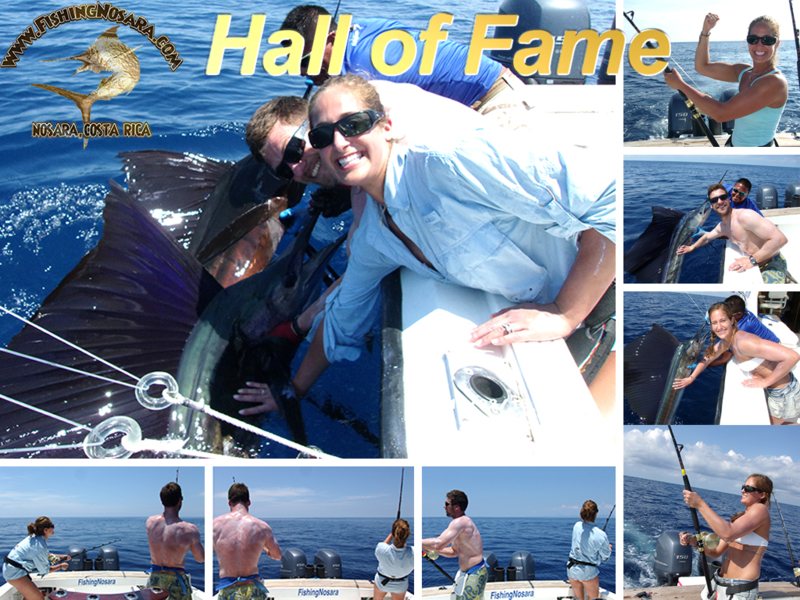 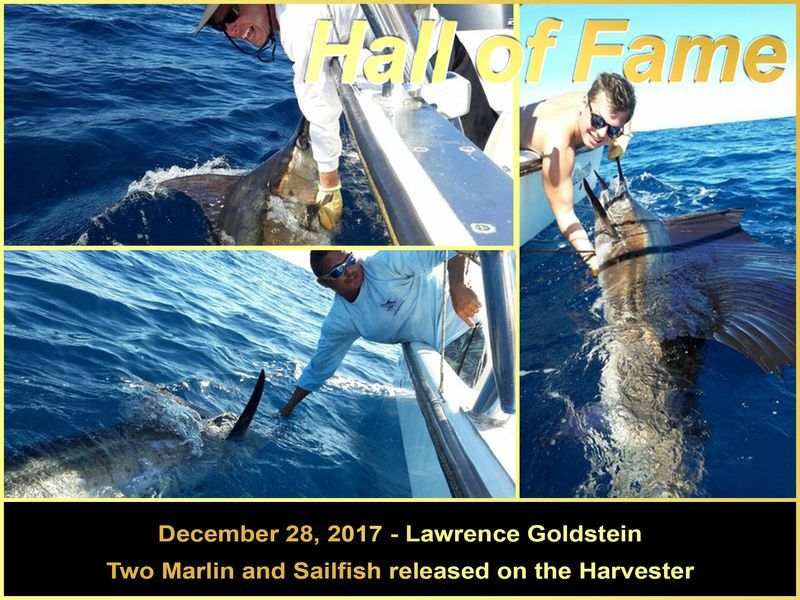 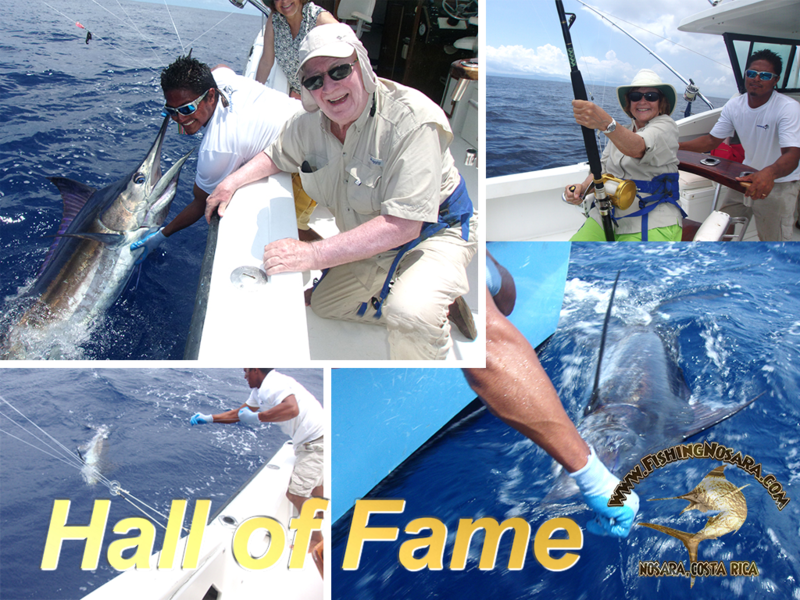 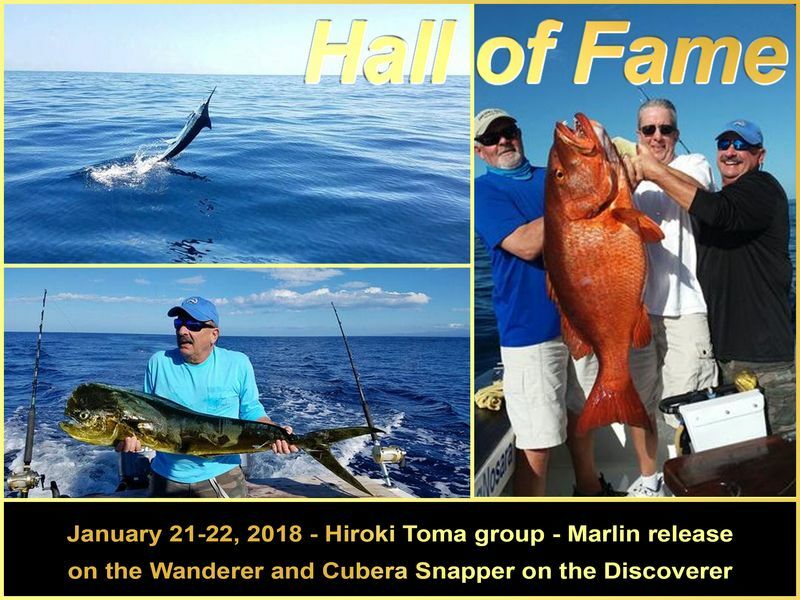 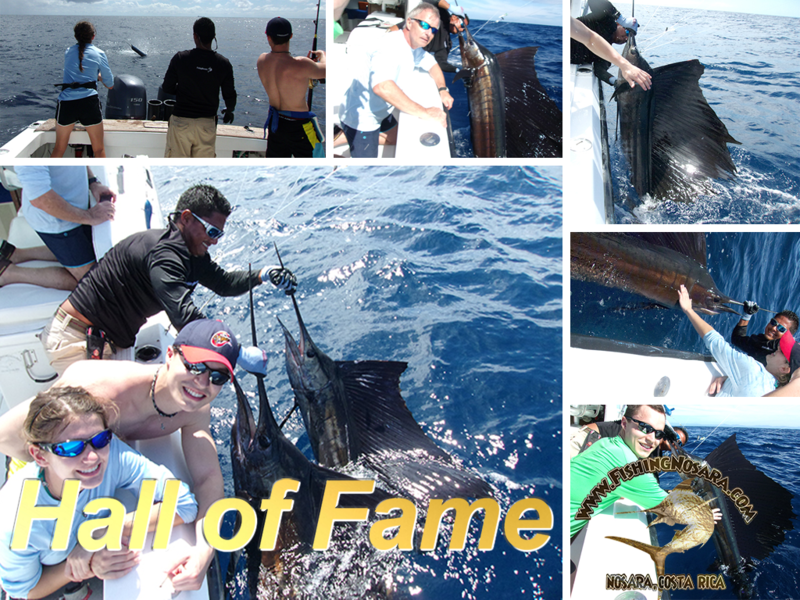 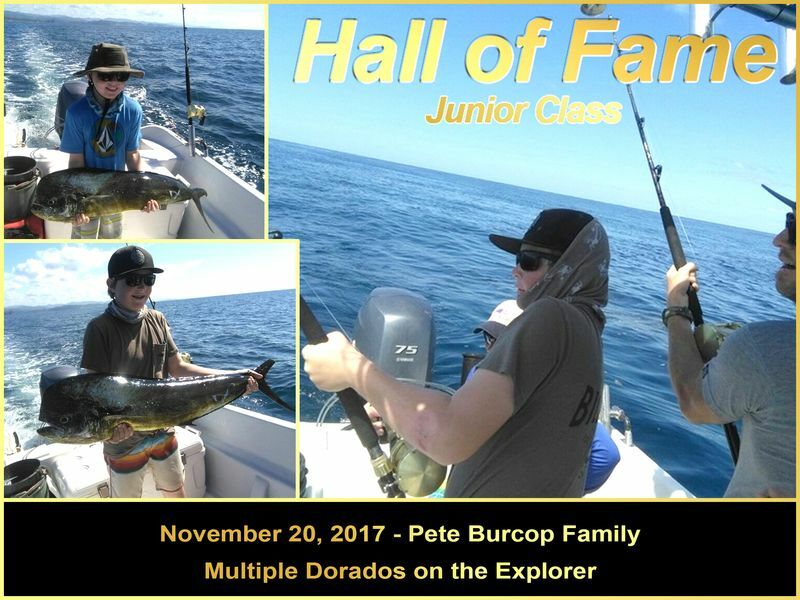 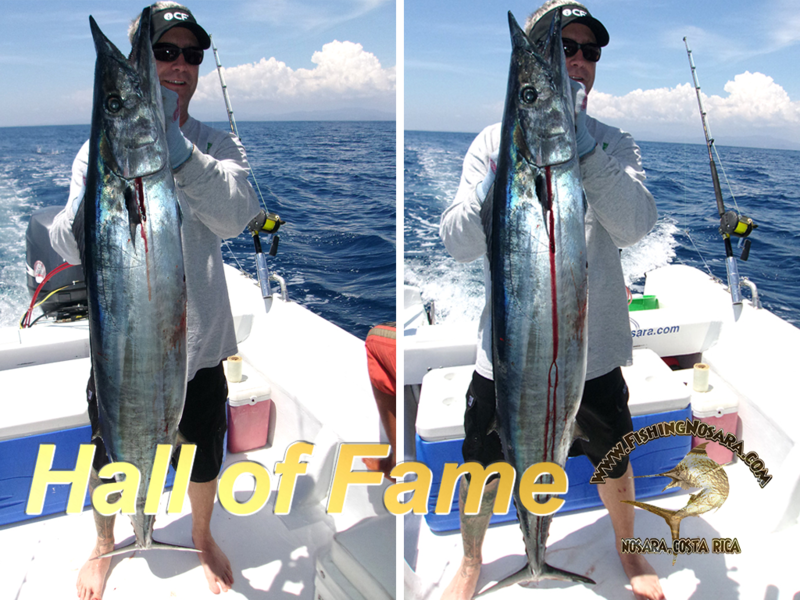 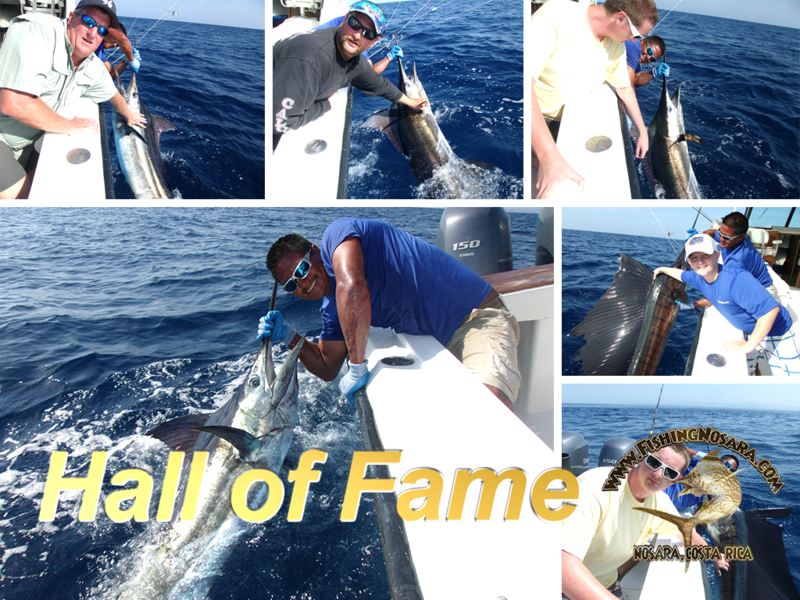 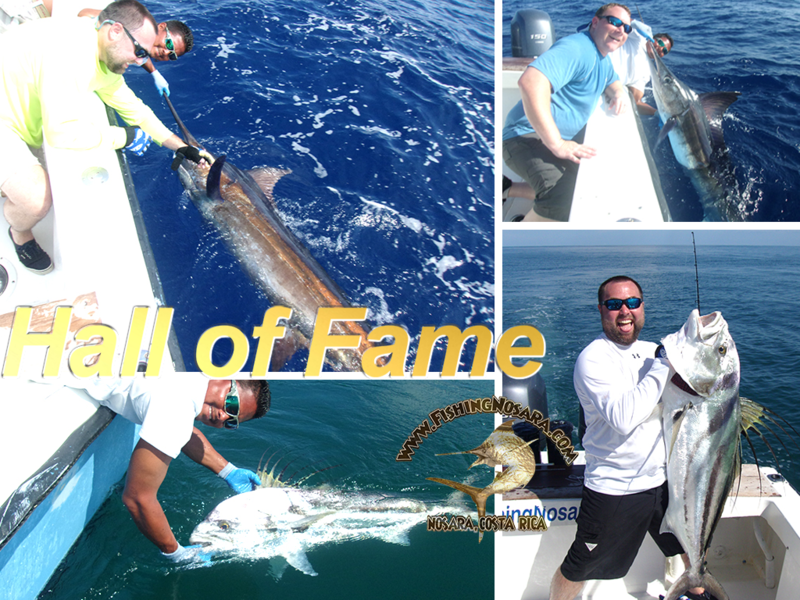 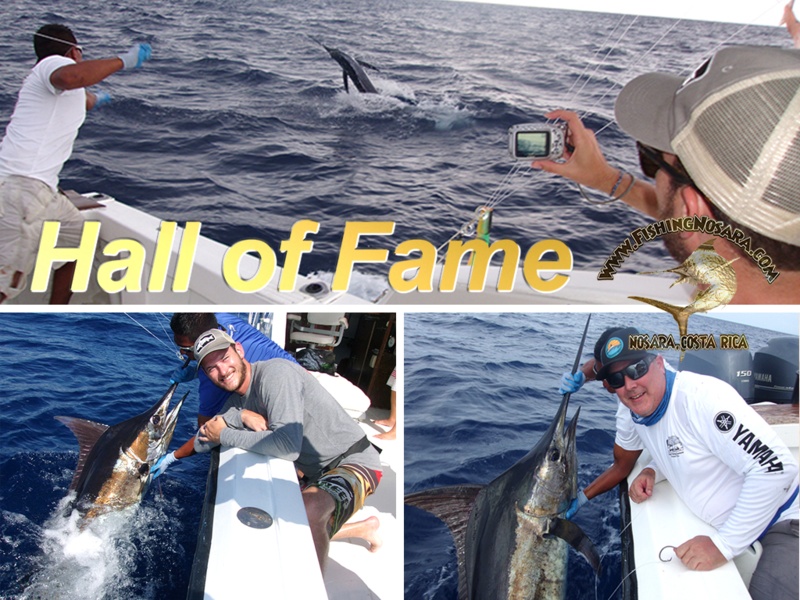 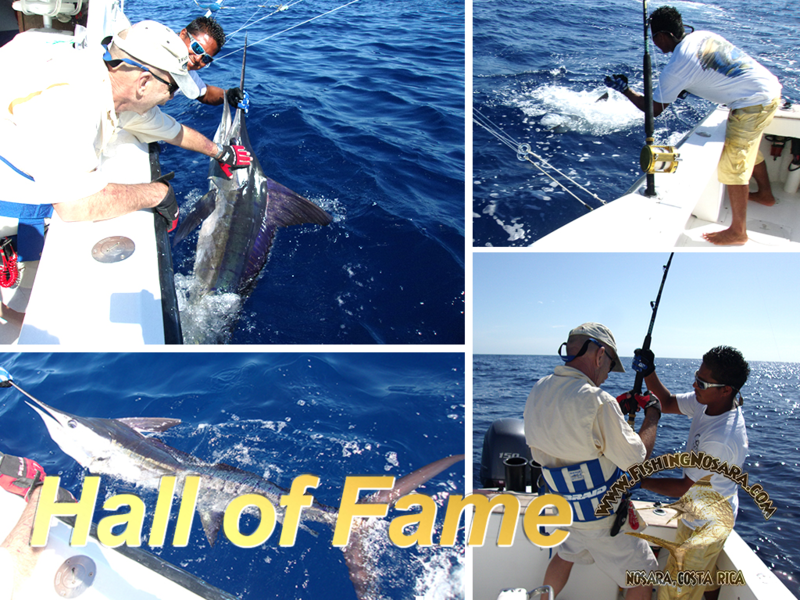 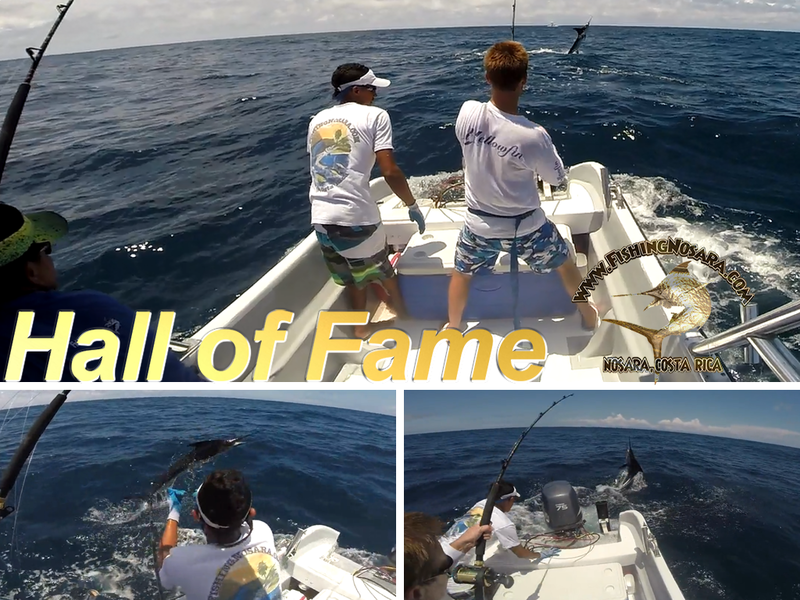 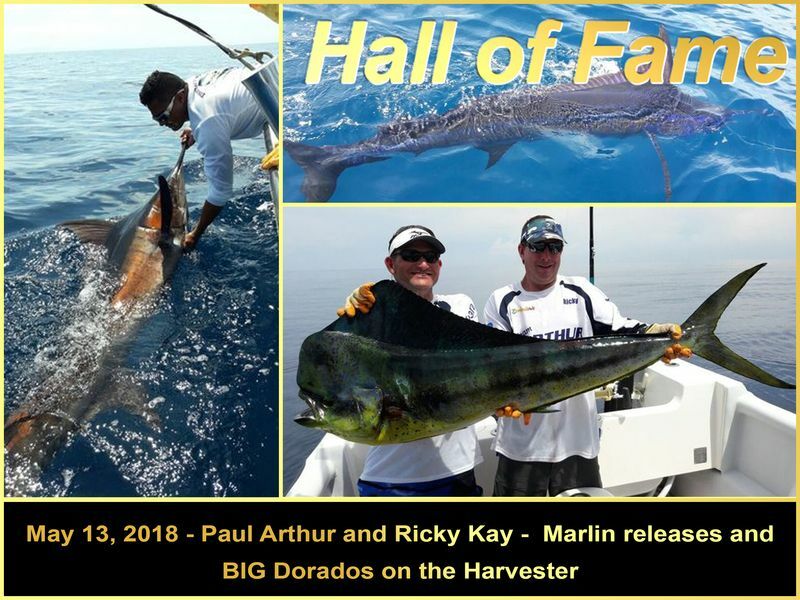 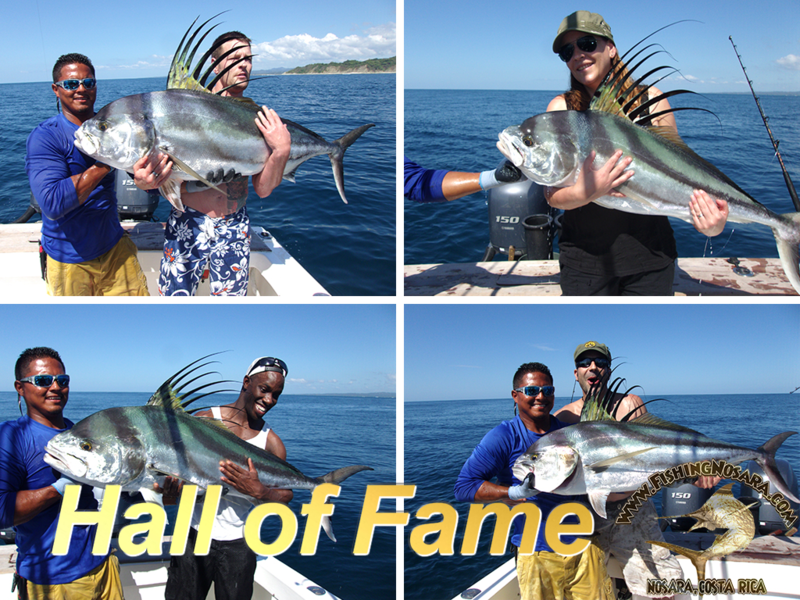 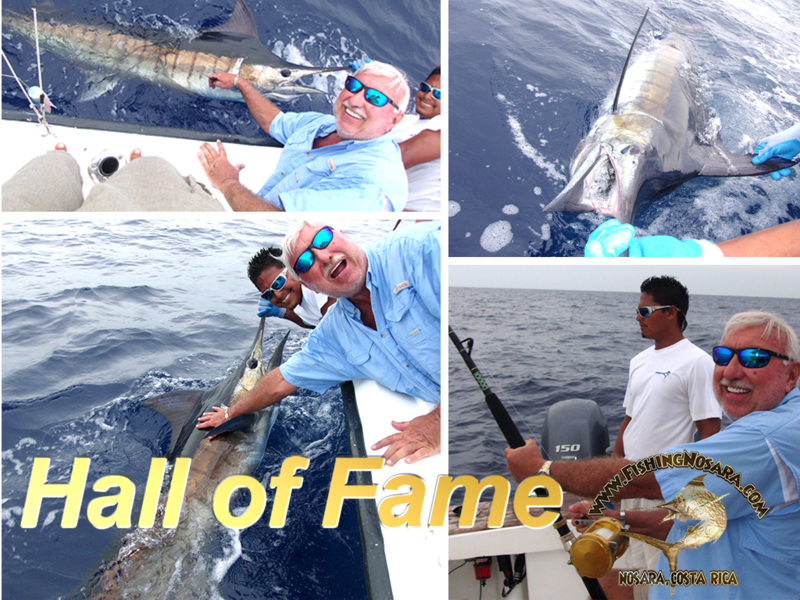 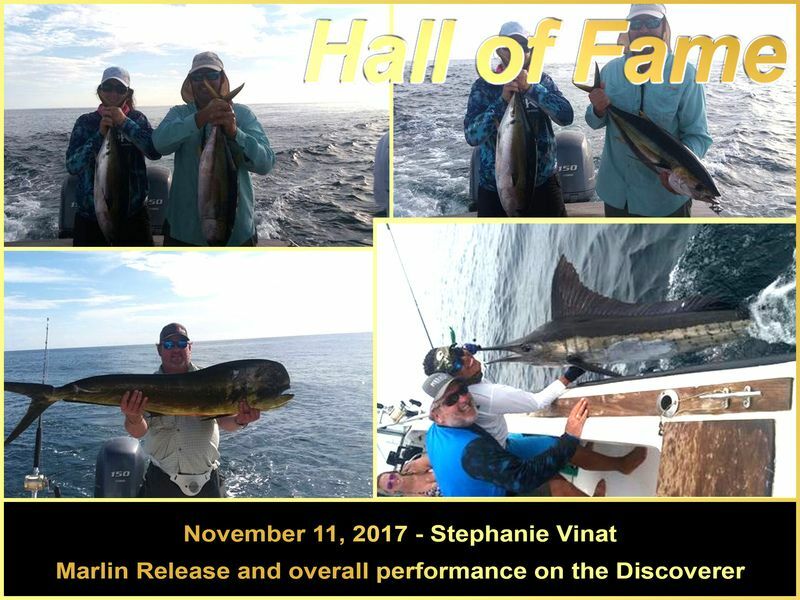 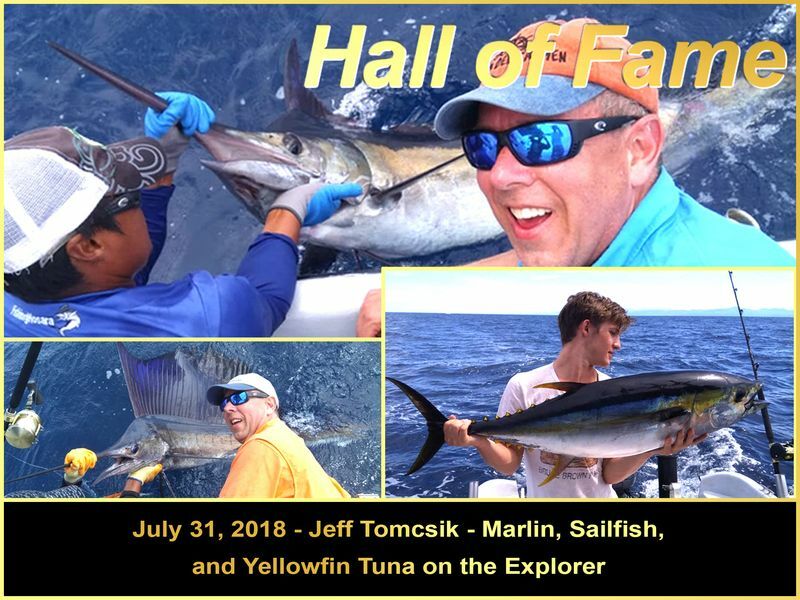 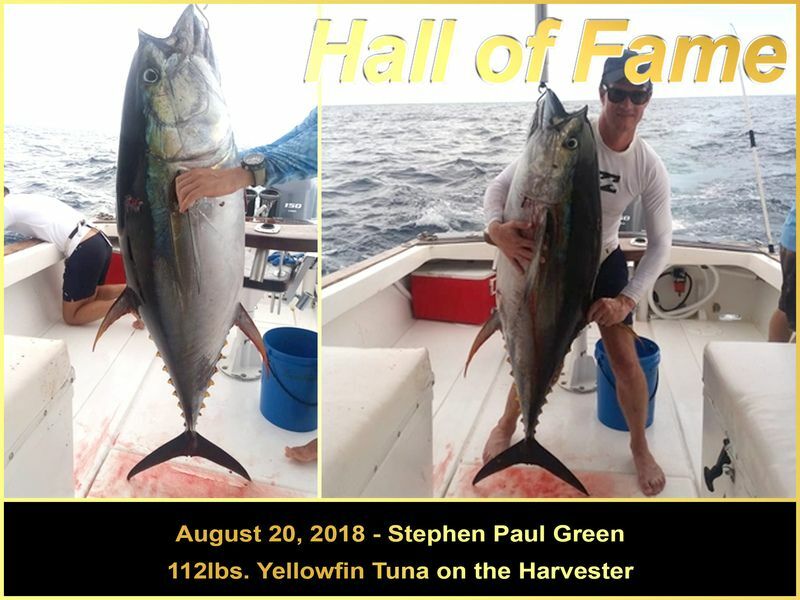 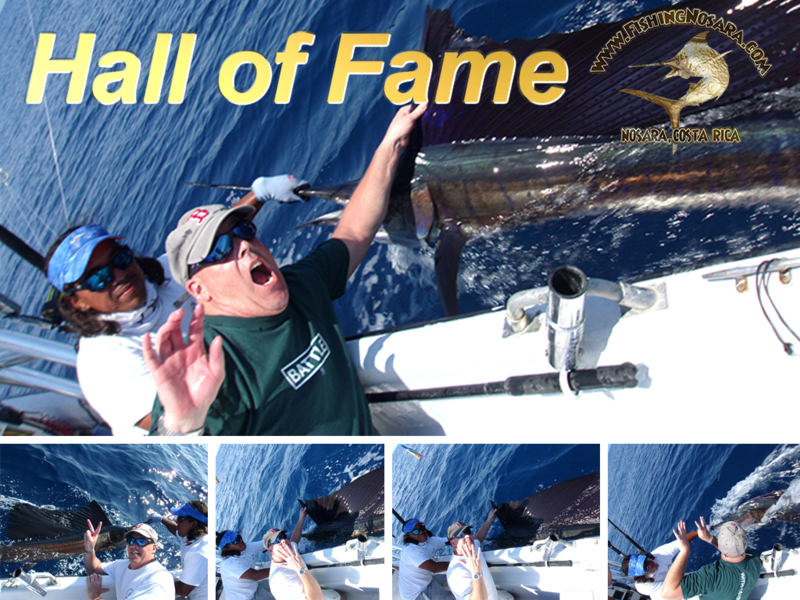 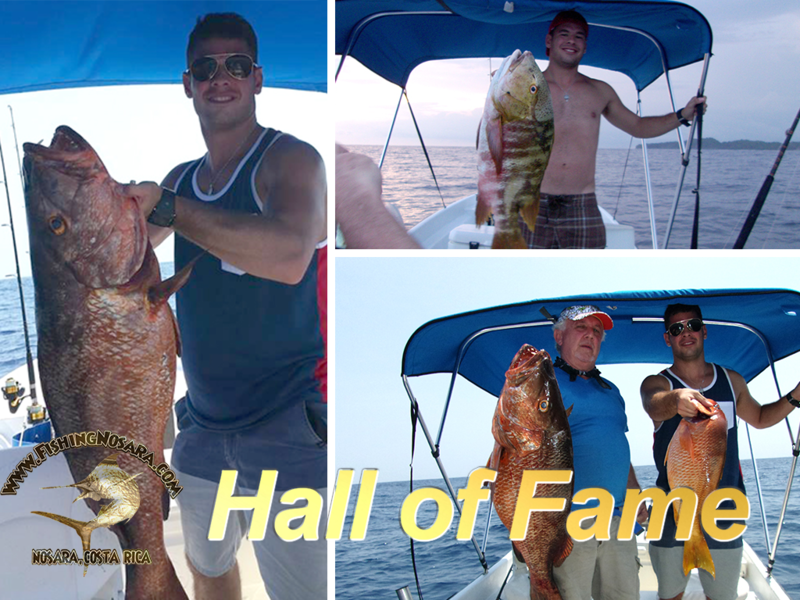 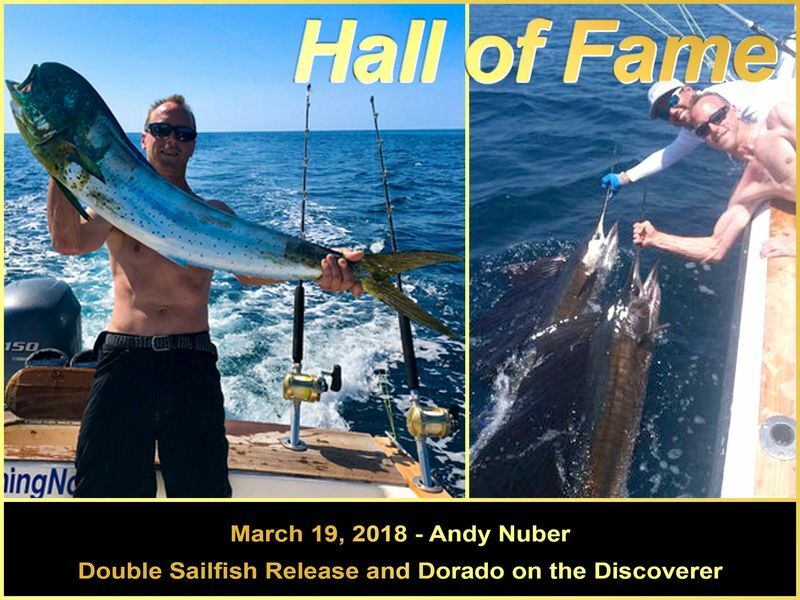 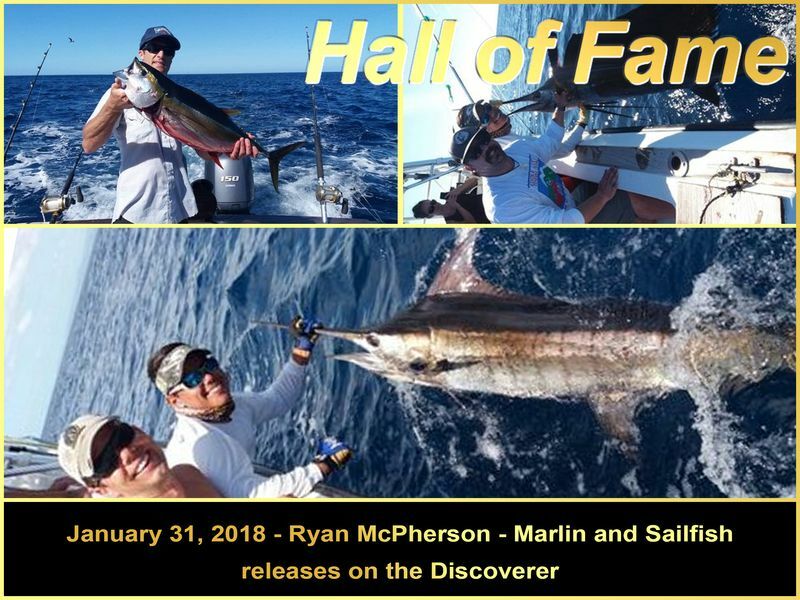 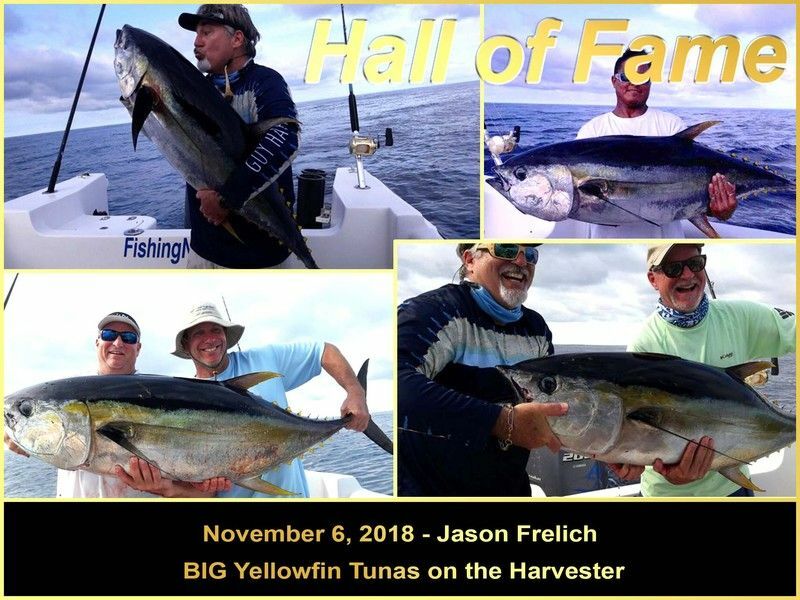 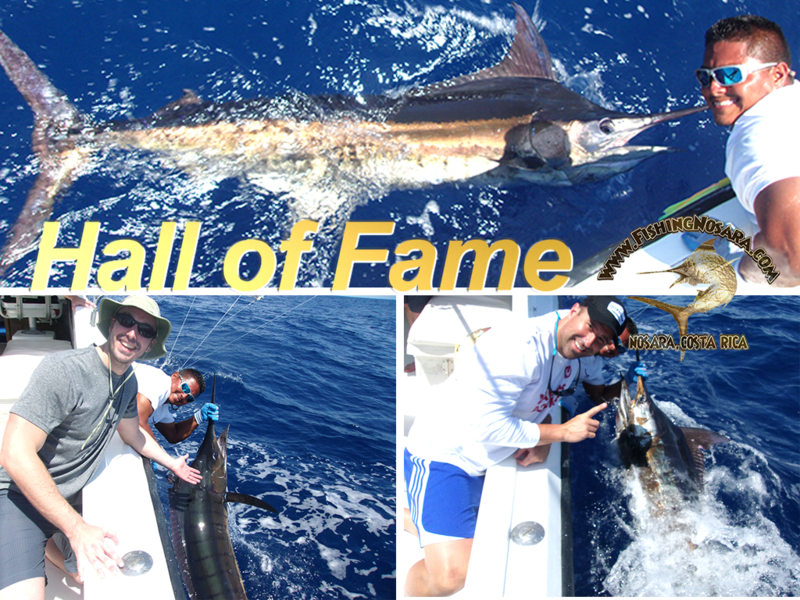 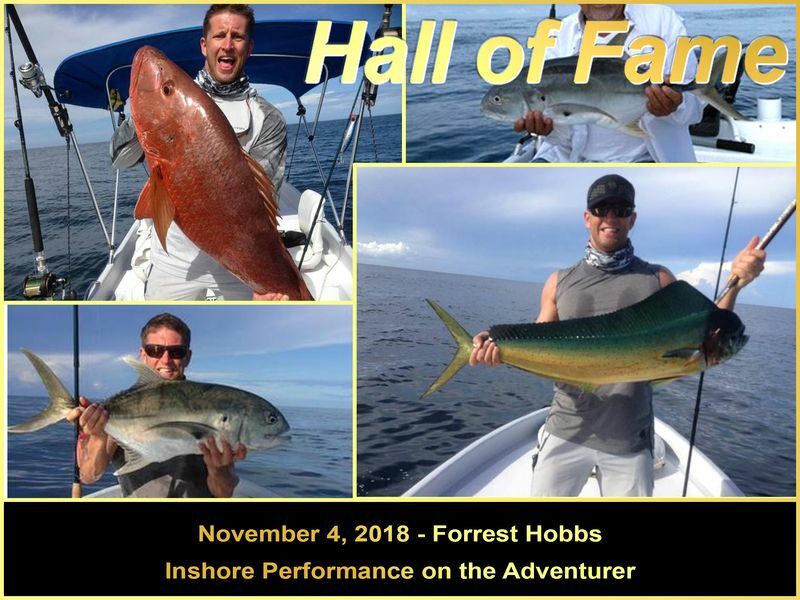 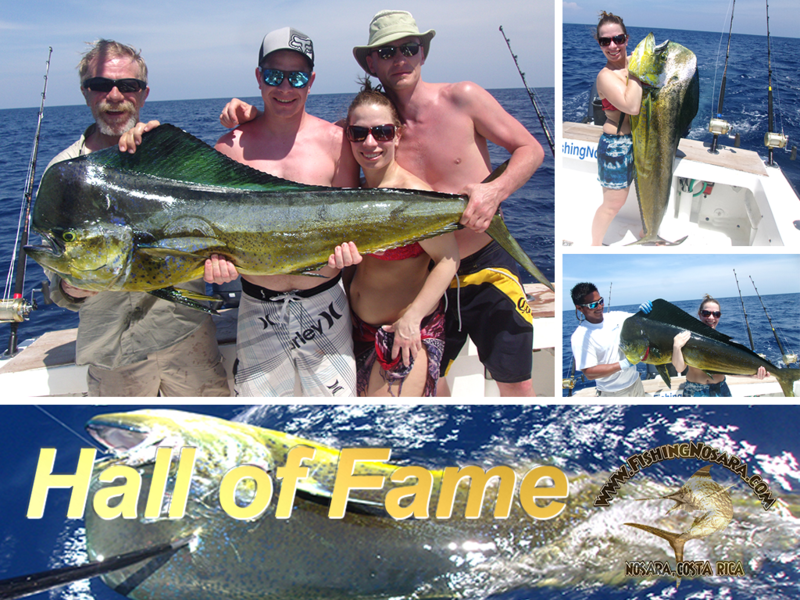 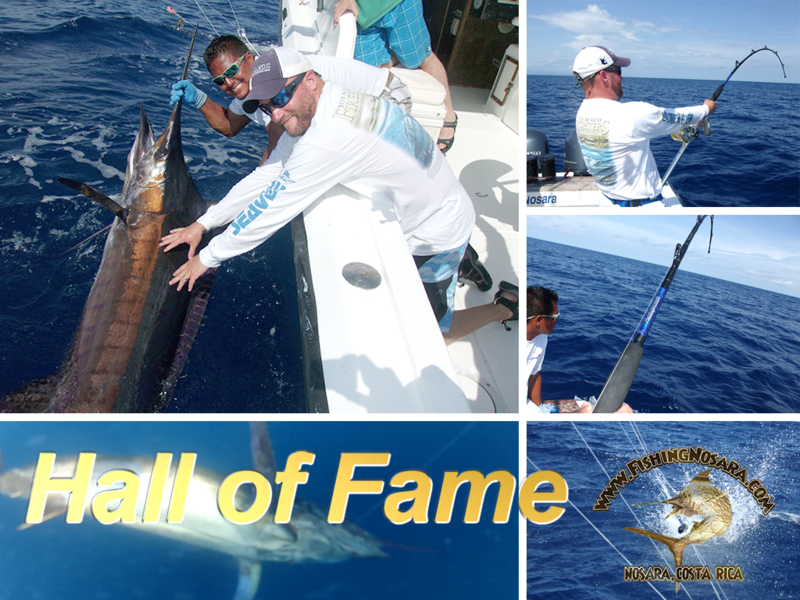 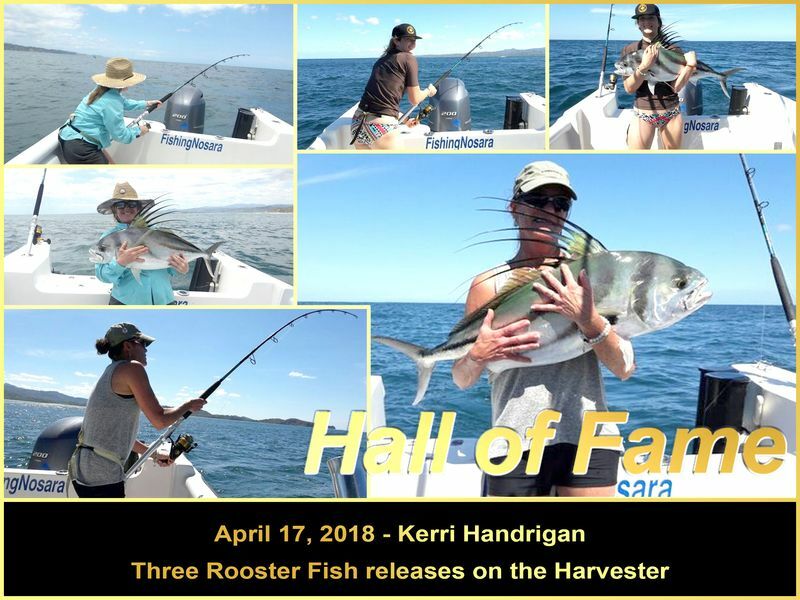 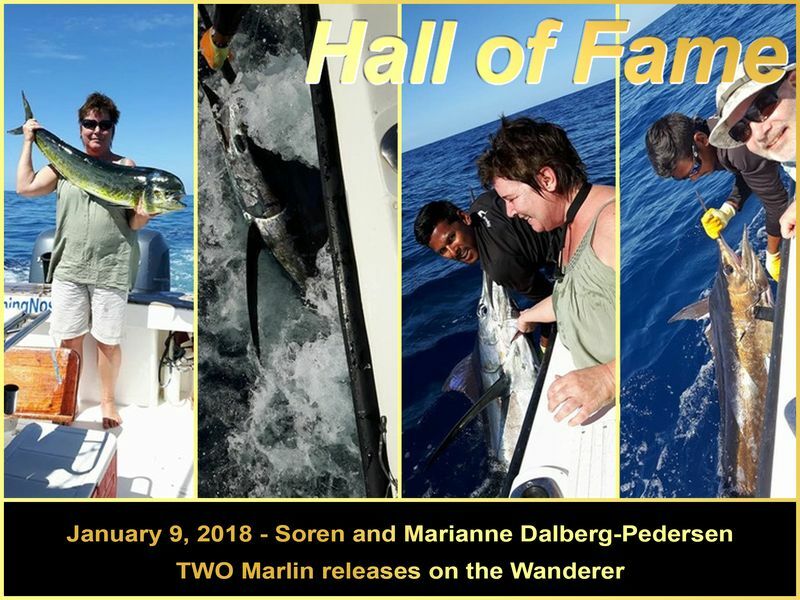 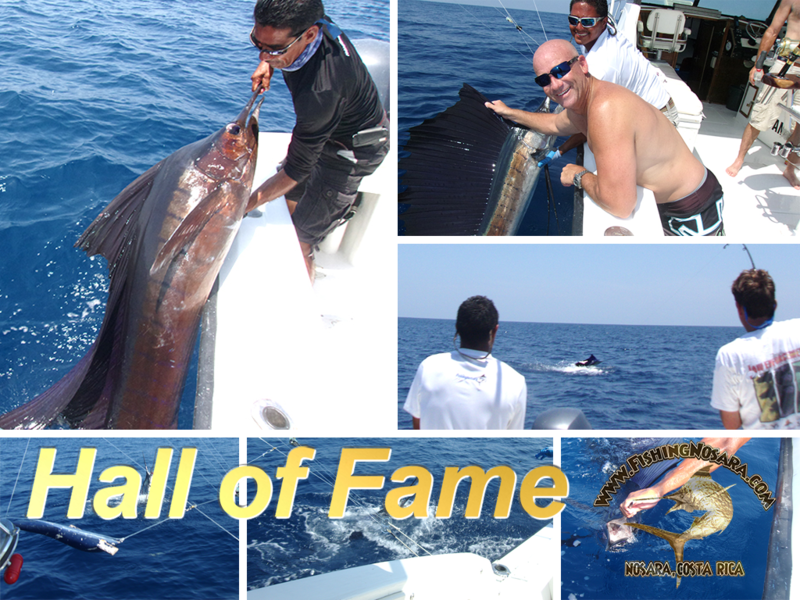 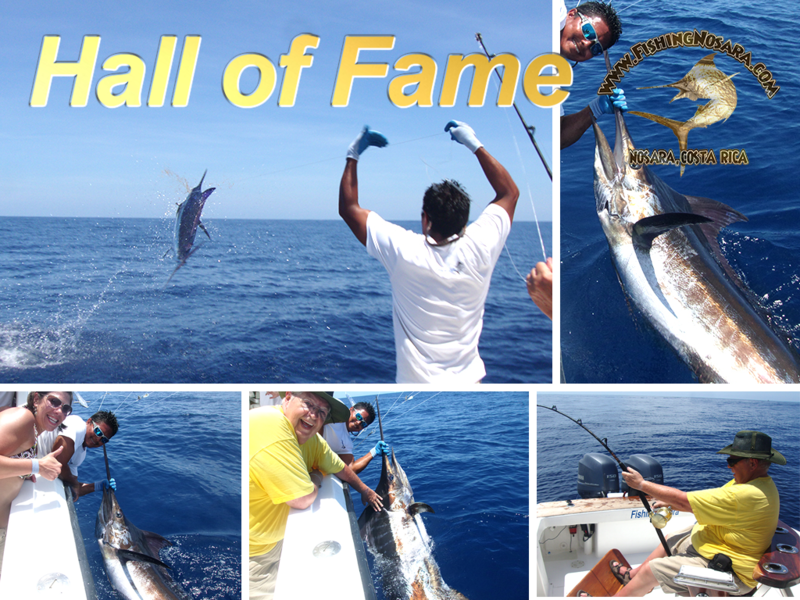 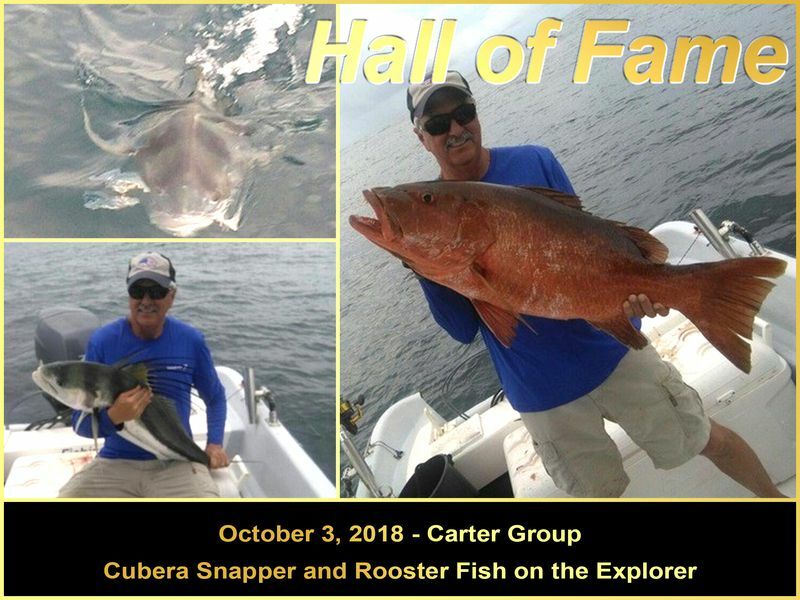 Legendary fishing by these FishingNosara Hall of Famers!